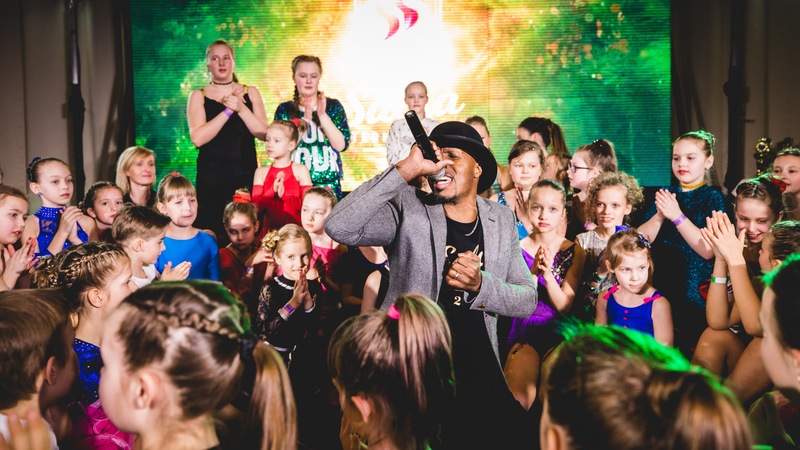 Salsa International / BALTIC SALSA SHOW CUP 2018 – dance championship, that attracted the most stylish and stunning professionals from: Kaunas, Vilnius, Plunge, Siauliai, Ryga, Tallin, Prague, New York, Warsaw, Rome, Havana, Barcelona, Madrid, as well as representatives from China, Morroco, Mexico, Egipt, Russia and Guinea Bissau! 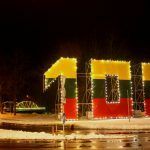 Since 2018 is the year when Lithuania celebrates Centennial of the restored Lithuania the festival included many different festive accents related to the anniversary. 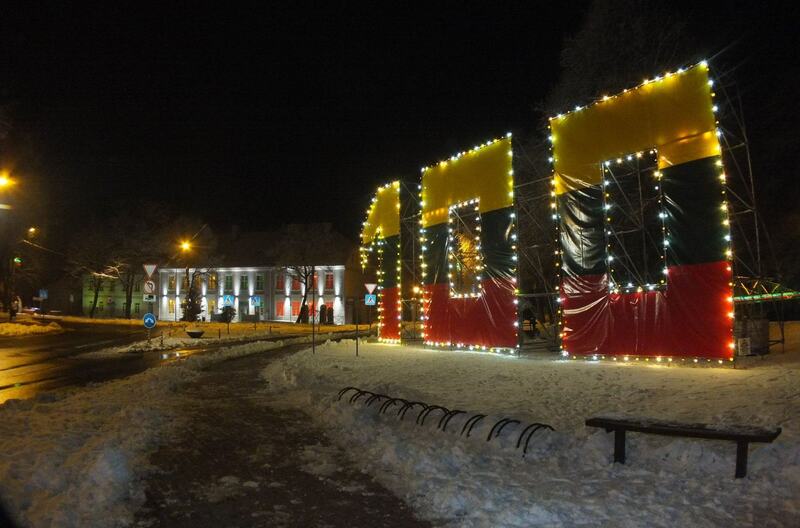 Klaipeda’s festival of lights, which coincides with Lithuania’s 100th anniversary, inspired artists who created projects for the festival. 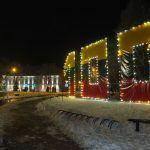 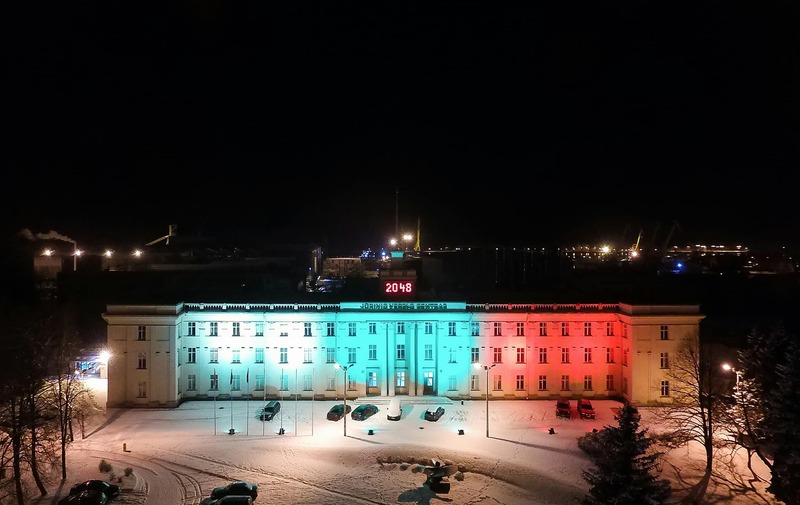 Together with the idea of the festival, many colors of the Lithuanian flag were lighted, for several hours or days, which were prepared for the city by different companies in Klaipėda. 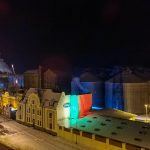 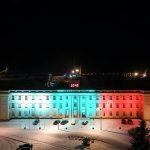 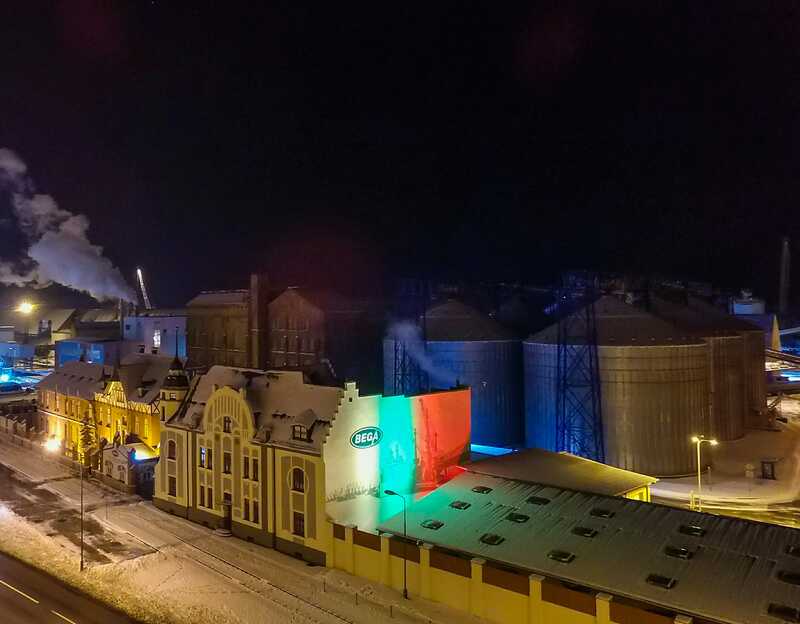 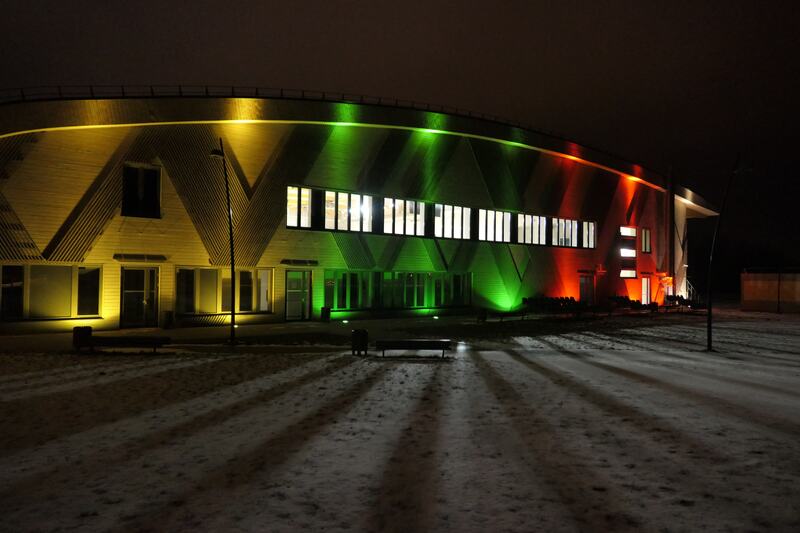 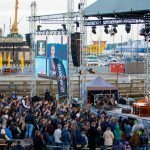 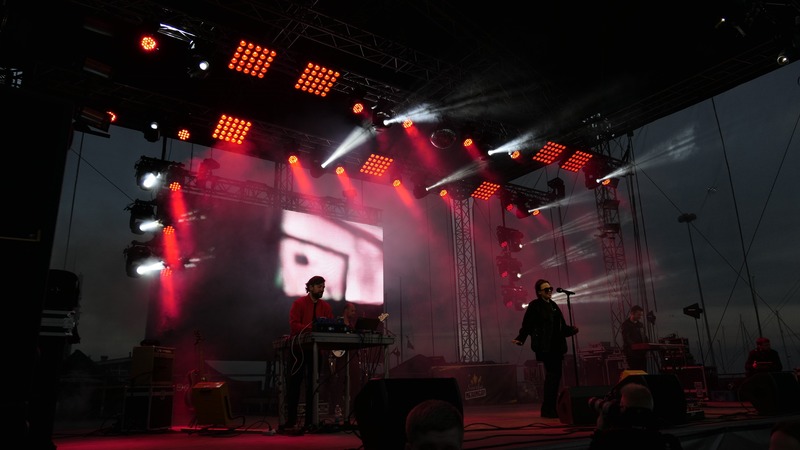 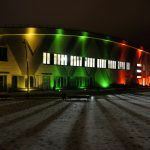 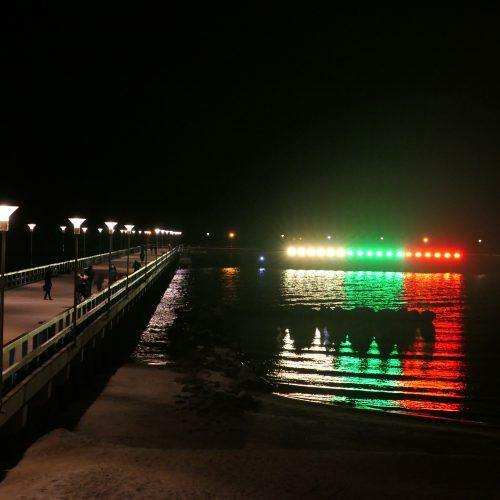 The company ProDJ, which contributed to the colorful light installations and compositions, collaborated with companies like: Klaipeda Stevedoring Company BEGA, Klaipeda Stevedoring Company KLASCO, Western Shipyard and Klaipeda City Municipality. 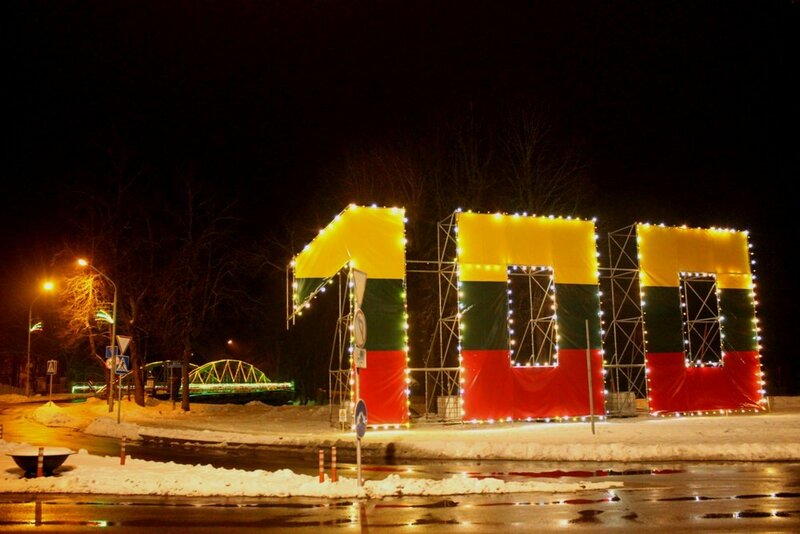 THE CENTENNIAL is a success story created by the people of Lithuania and the Lithuanians living abroad: our grandparents, great-grandparents, parents, and us. 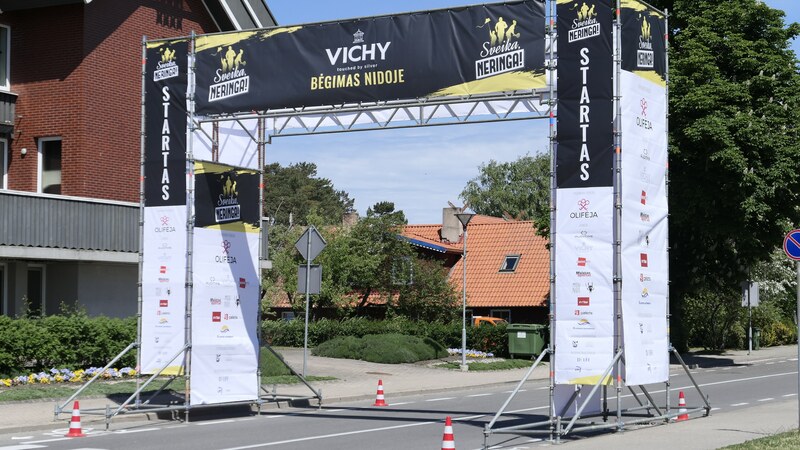 Many of us still cherish in our families live memories of the signatories, diplomats, farmers, freedom fighters, priests, athletes, teachers, the Righteous among the Nations, members of Sąjūdis, scientists, or the volunteers. 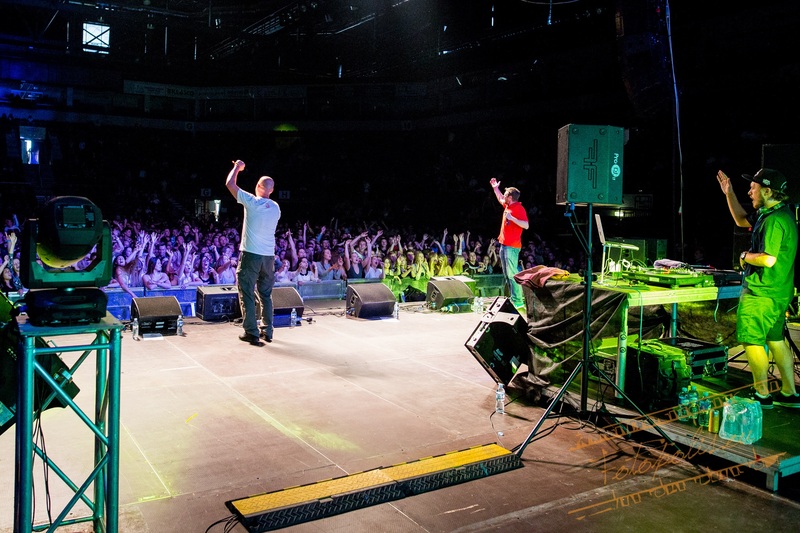 They are our heroes that make up our Lithuania. 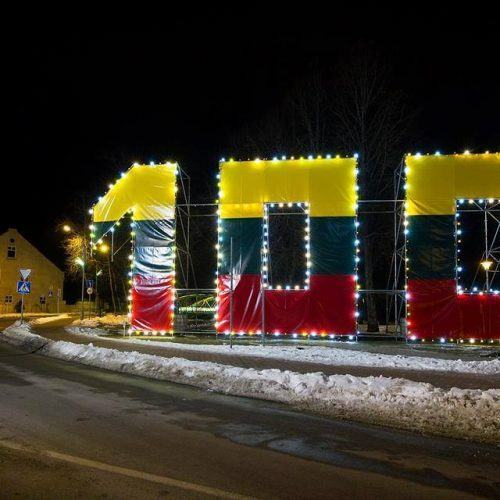 Celebrating the centennial of the restored Lithuania Šilutė decided to decorate the town with an extraordinary construction “100” that can be visited by everyone! 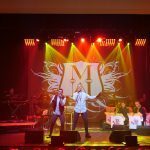 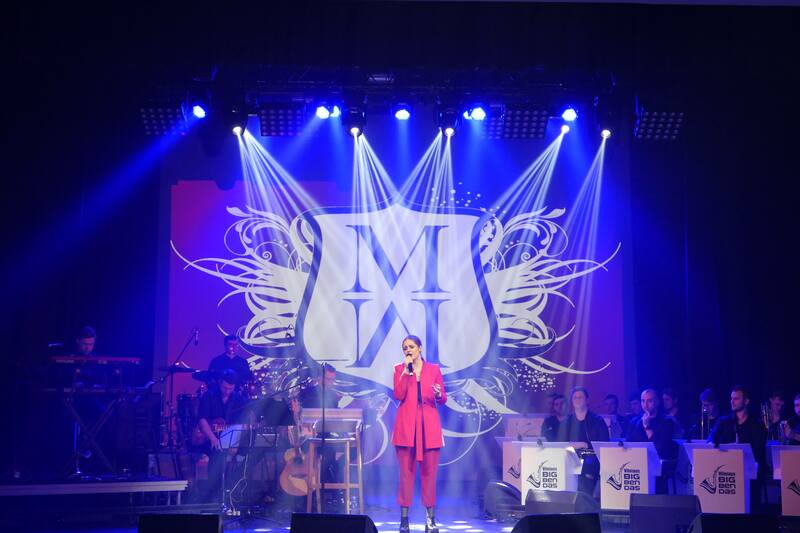 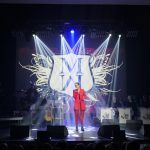 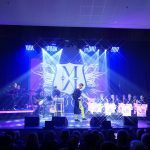 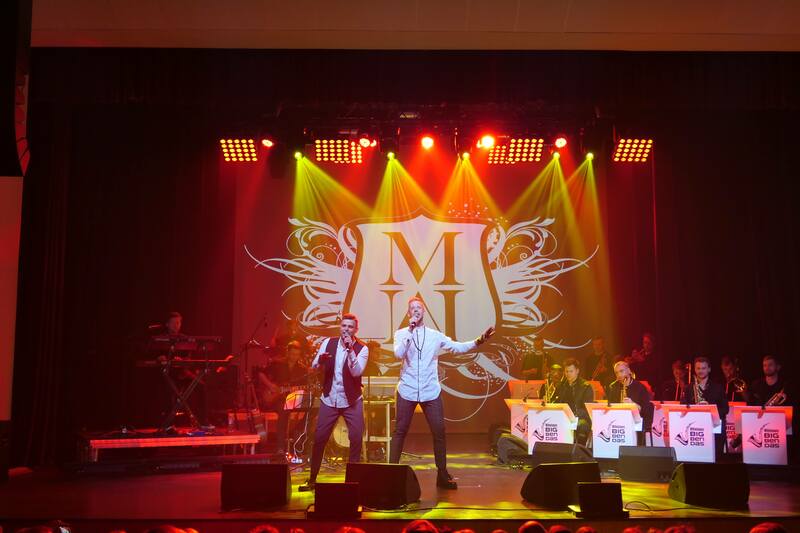 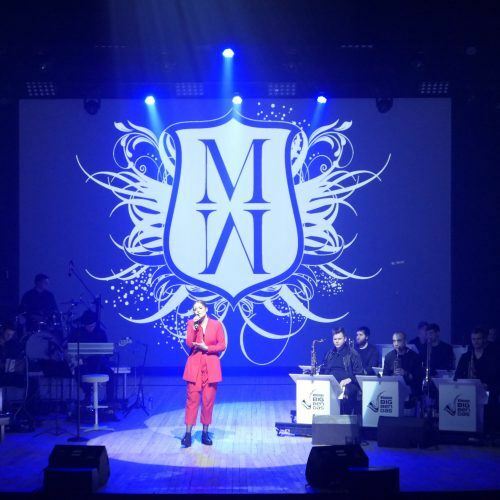 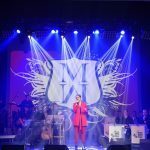 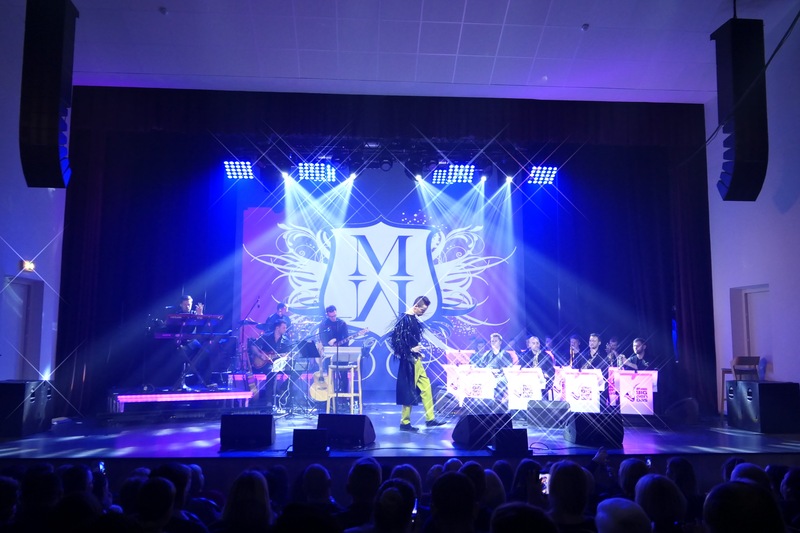 The grand tour of Monika Marija, the winner of the fifth season of high quality musical project “The Voice of Lithuania”, across Lithuania with a famous “Vilnius Big Band” and “Elitaz” music band! 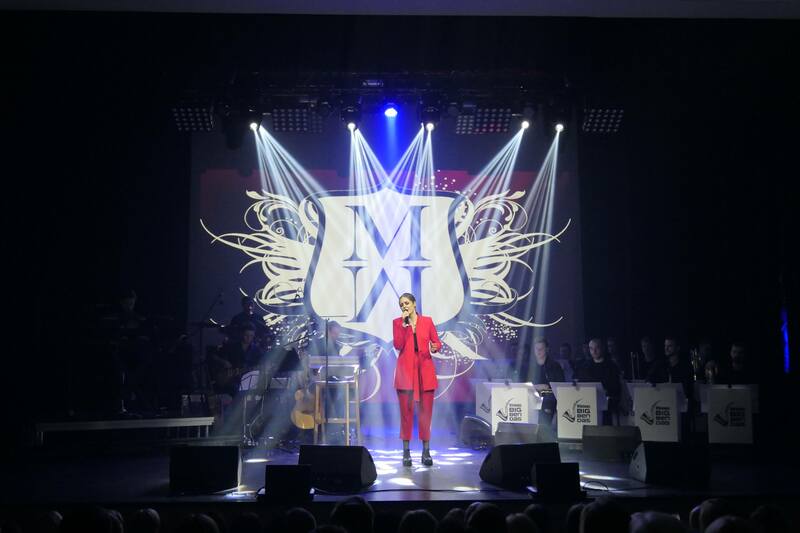 This voice has impressed hundreds of thousands of listeners and deserved to be called the best voice in Lithuania! 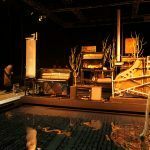 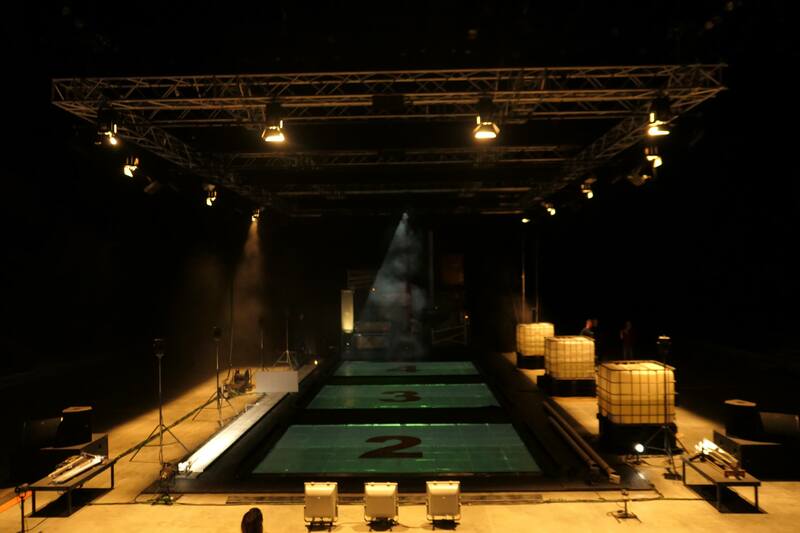 The programme and impressive show were created by professionals, including other favourites of the fifth season! 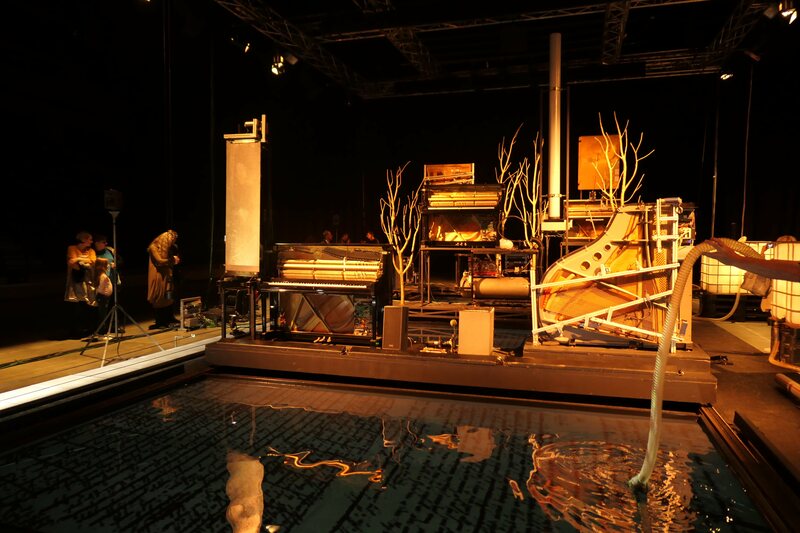 A performative installation of Heiner Goebbels “Stifters Dinge”. 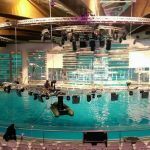 The exclusivity of this project is an extremely complicated fulfilment of technical requirements to the works of preparation and during the implementation of the project. 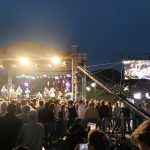 Late-night talk show, created by journalist Andrius Tapinas. 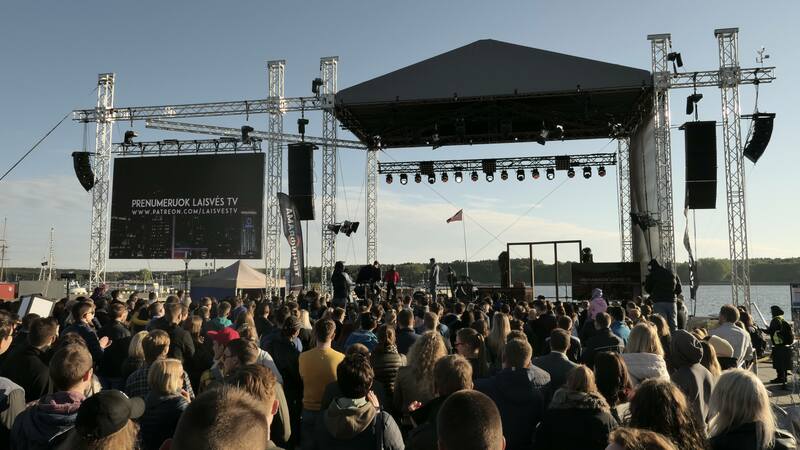 It is aired on “Laisvės TV” channel of “YouTube” website since 11 September 2016. 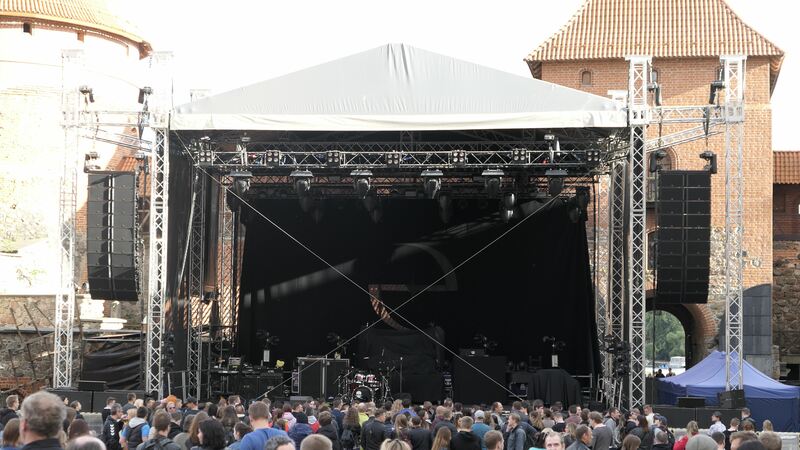 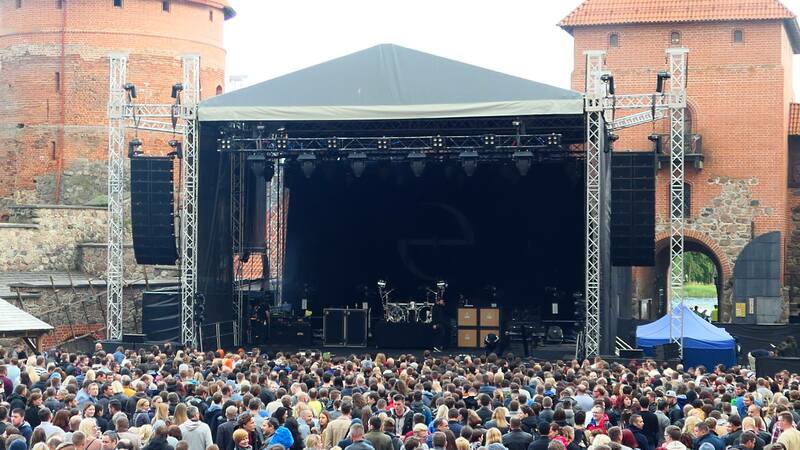 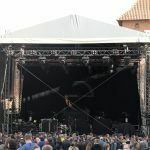 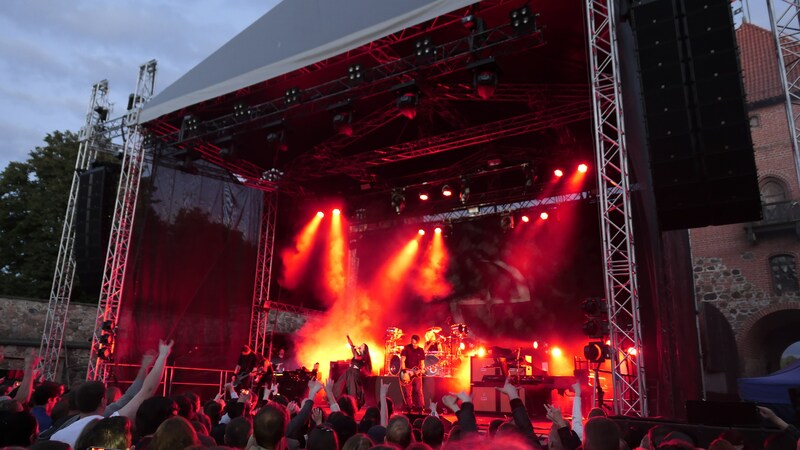 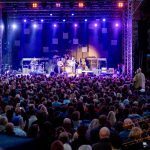 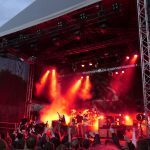 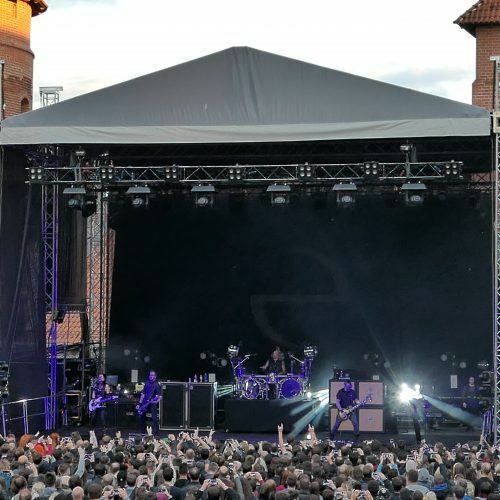 One of the most famous rock band “Evanescence” has performed in the magnificent Trakai Castle courtyard. 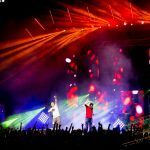 The winners of the prestigious Grammy Award, who sold more than 25 million records held their concert for the first time in the Baltic States. 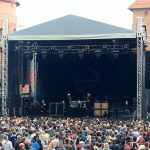 It was “Evanescence” first concert in our region and it left the audience unspoken! 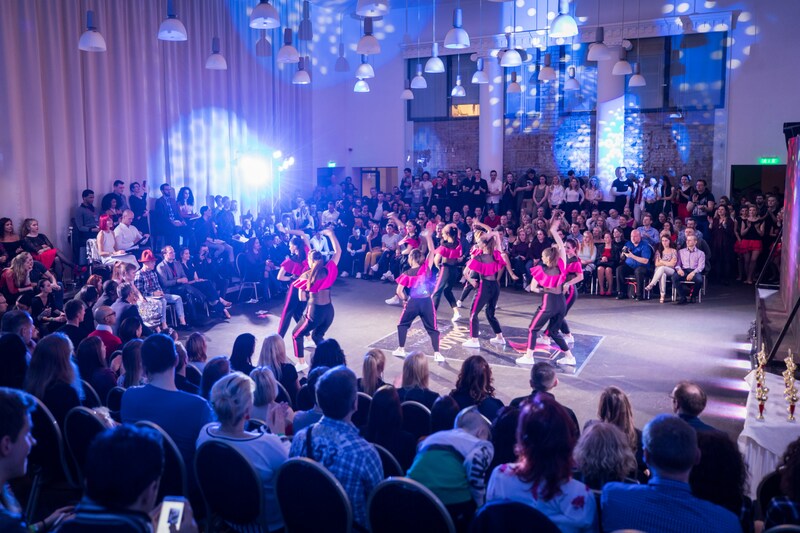 A dance performance “Karmen” directed by choreographer Aušra Krasauskaitė based on D.Bizse-R.Schedzerna’s “Carmen Suite” that premiered in Palanga Concert Hall. 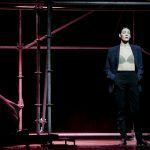 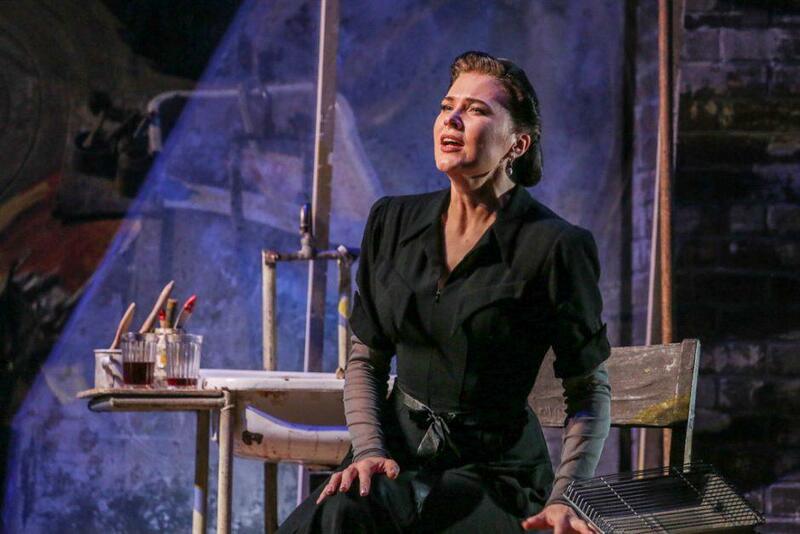 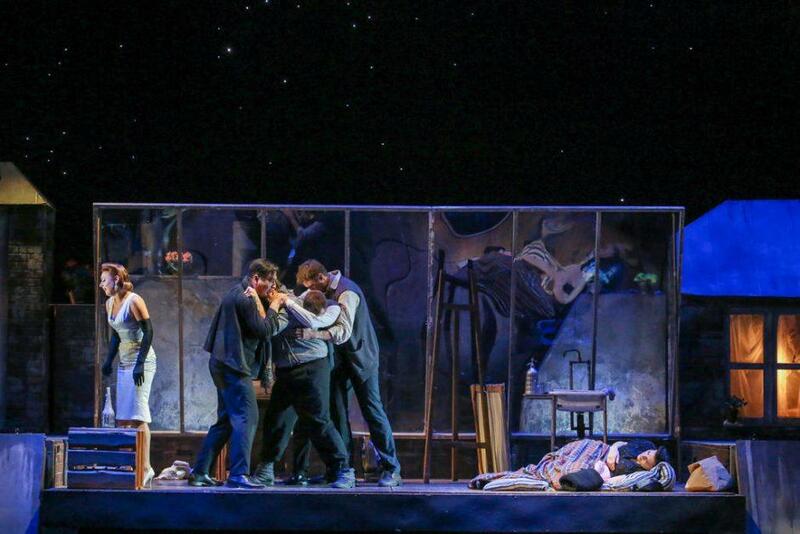 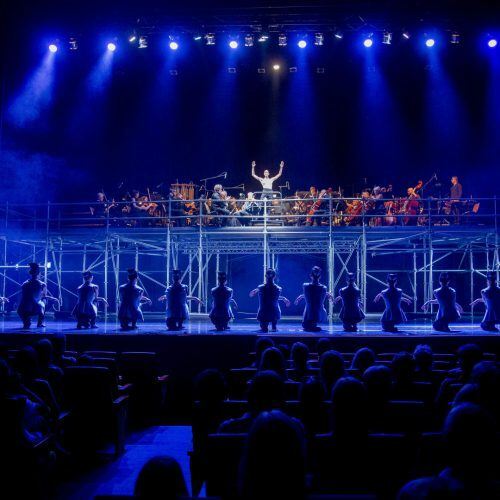 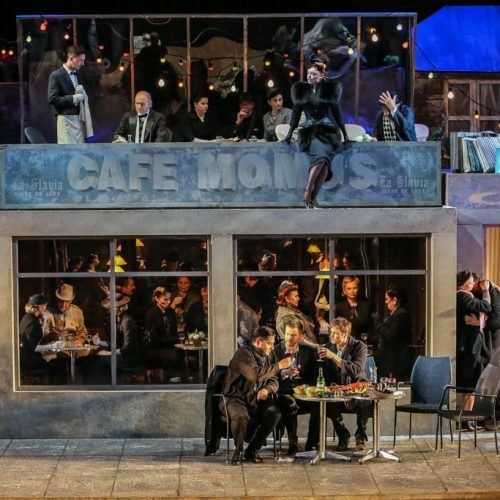 “Carmen” is one of the most frequently performed operas in the world, but Klaipėda State Musical Theater presented the contemporary interpretation of this story in a dance form. 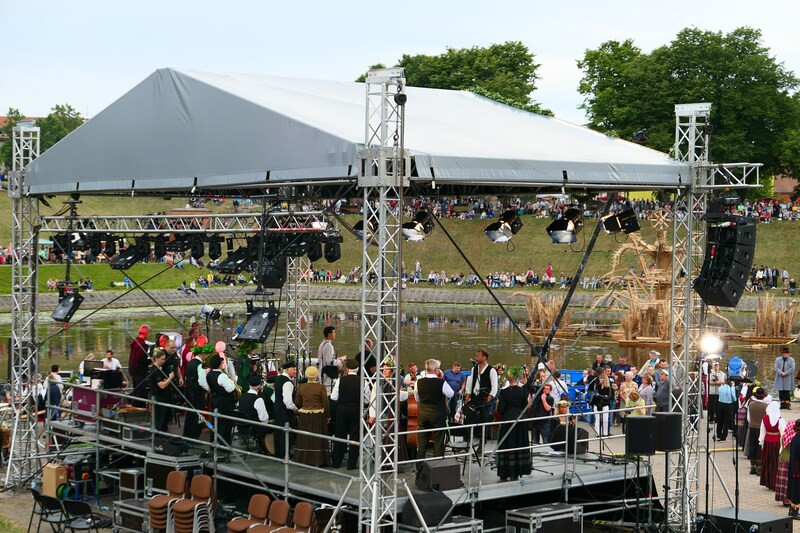 The main role of Karmen in the performance was performed by Beat Molytė-Kulikauskienė, dancer of the Klaipėda State Musical Theater. 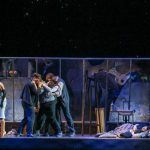 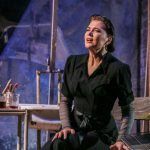 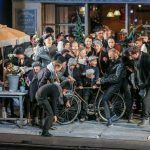 The long-awaited opera “Bohema” directed by Dalia Ibelhauptaitė based on Giacomo Puccini opera was held in Palanga Concert Hall and it met all expectations. 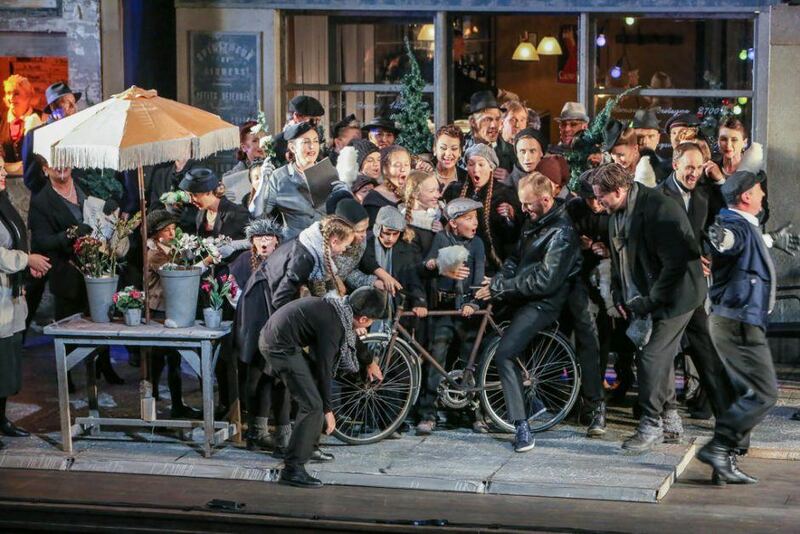 The main characters of “Bohema” were embodied by the stars of the next generation opera – Merūnas Vitulskis and Viktorija Miškūnaitė, who won the Golden Cross. 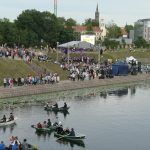 Aistė Pilibavičiūtė, Mindaugas Rojus and other soloists from Klaipėda State Musical Theater also performed impressively. 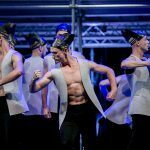 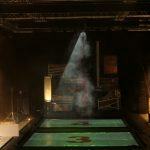 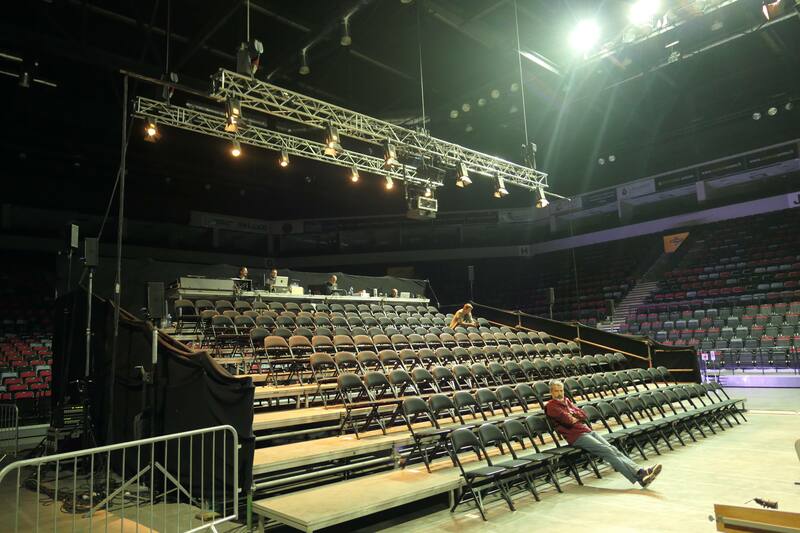 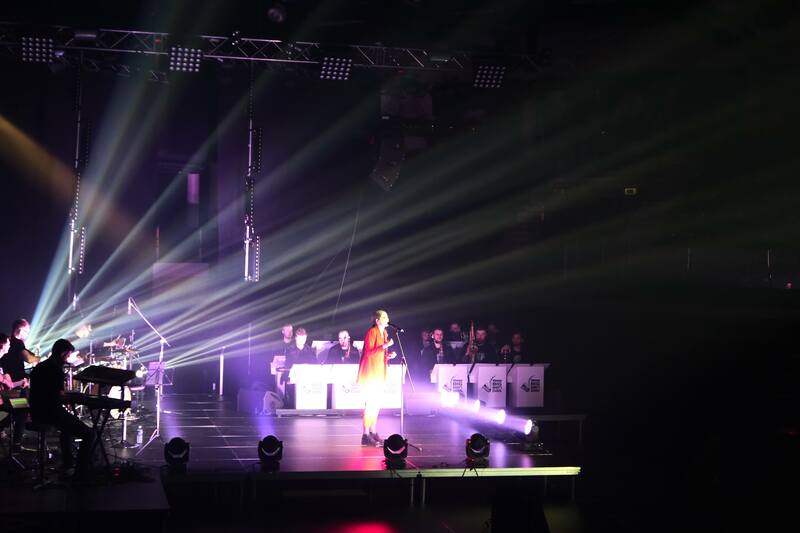 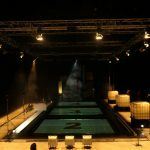 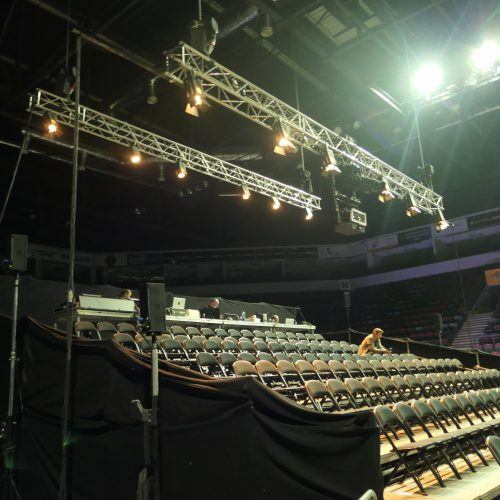 We worked together with Klaipeda’s State Musical Theater and implemented lighting and sound technical requirements. 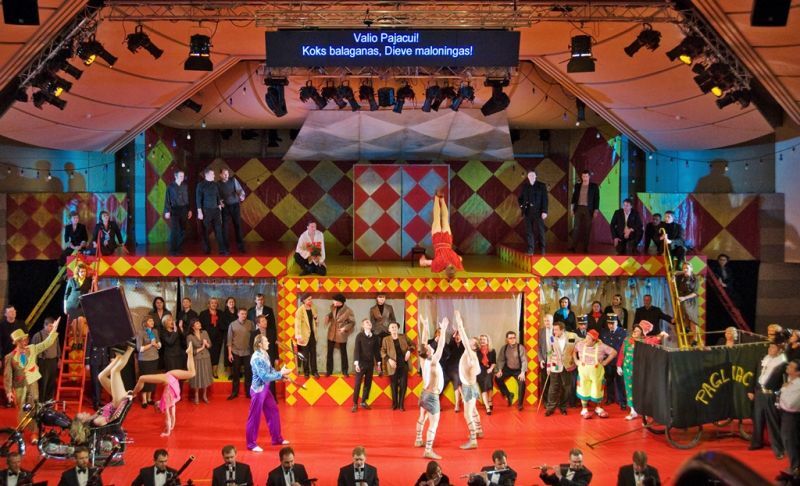 Palanga Concert Hall, held a premiere of R. Levcavallo’s opera “Pajacai” directed by D. Ibelhauptaitė in August. 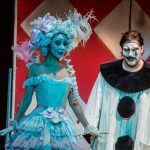 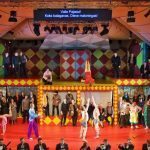 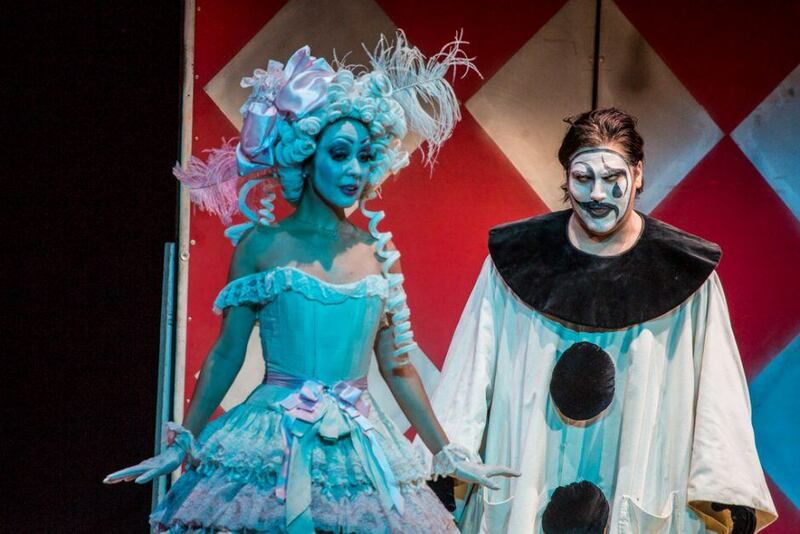 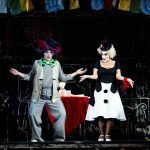 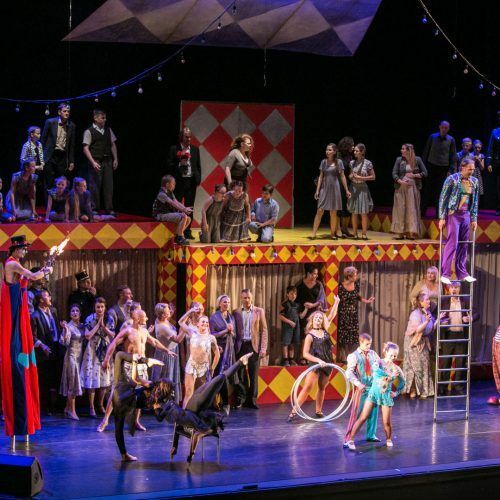 The premiere featured opera stars from Chile and Russia, the winner of the television project “Lithuanian Talents”, as well as circus artists and circus animals from several collectives. 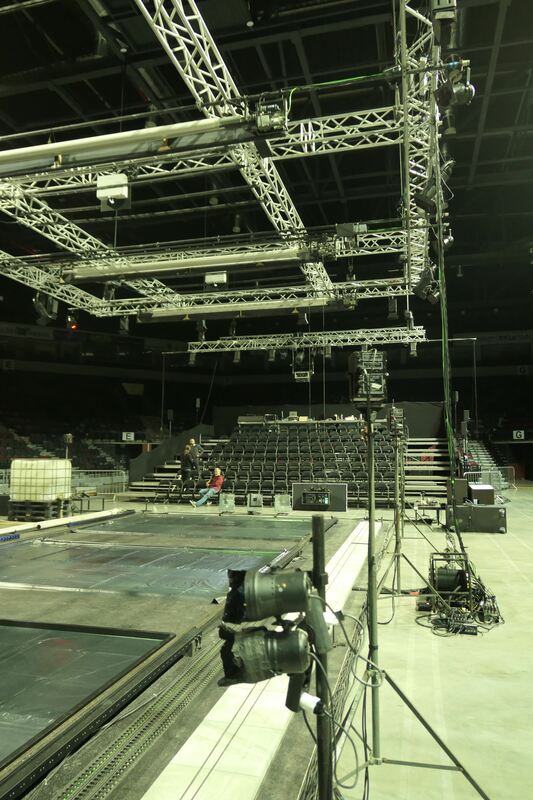 It’s one of the most popular TV projects in Lithuania. 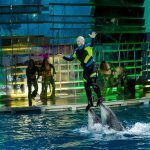 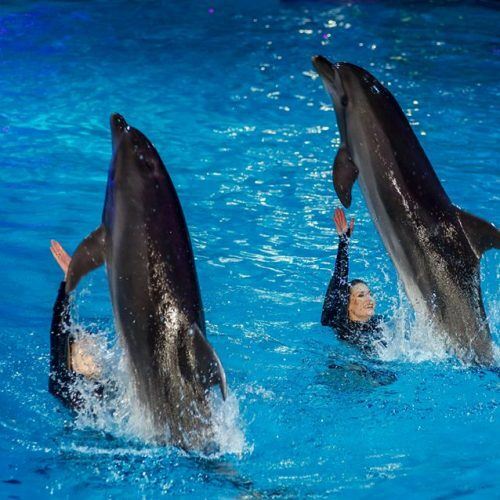 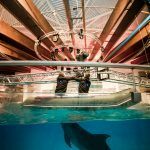 The project “Dolphins and Celebrities” was organised in a dolphinarium and received widespread attention. 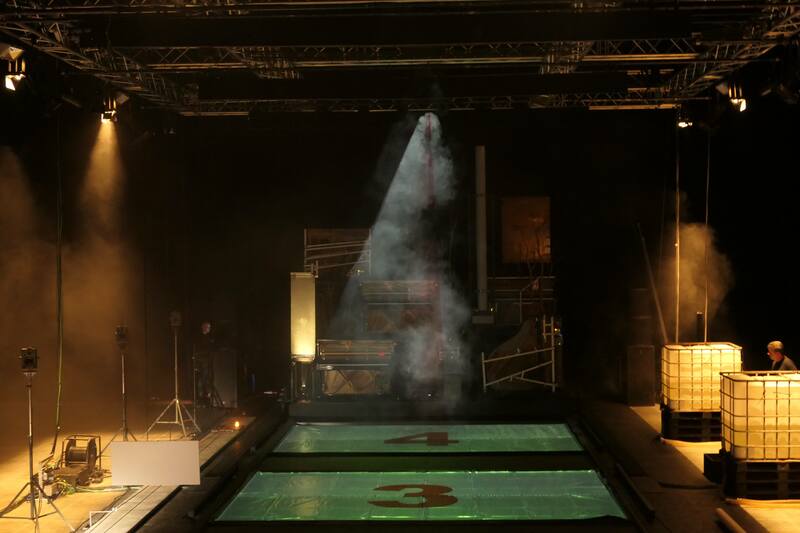 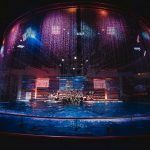 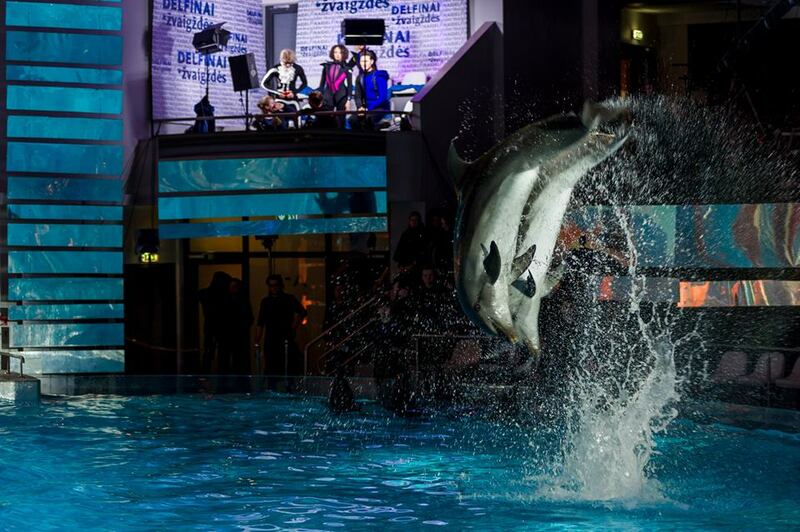 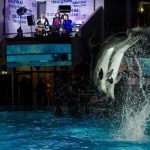 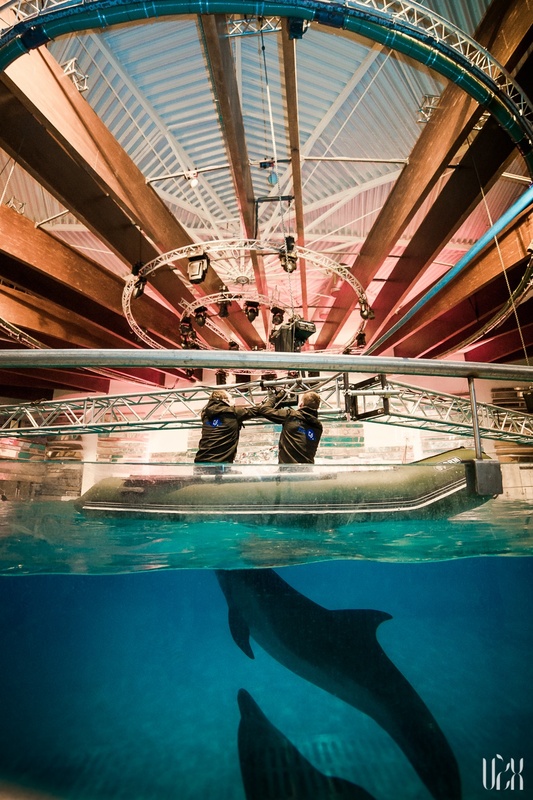 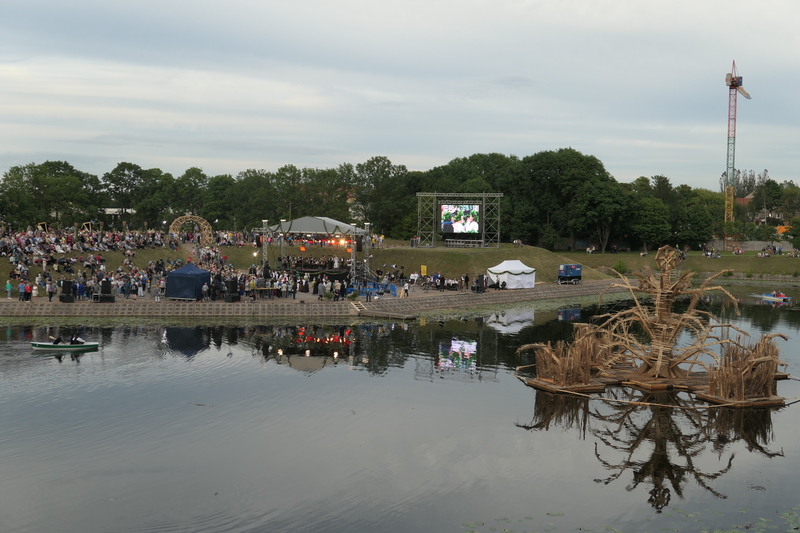 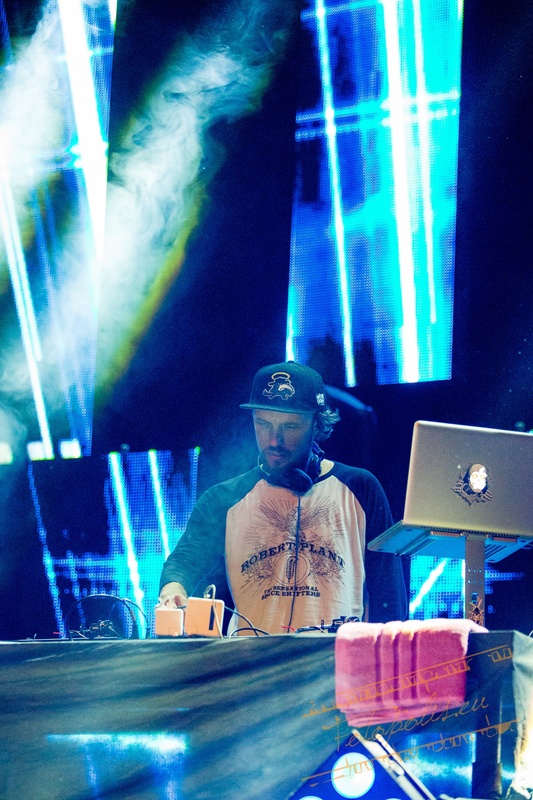 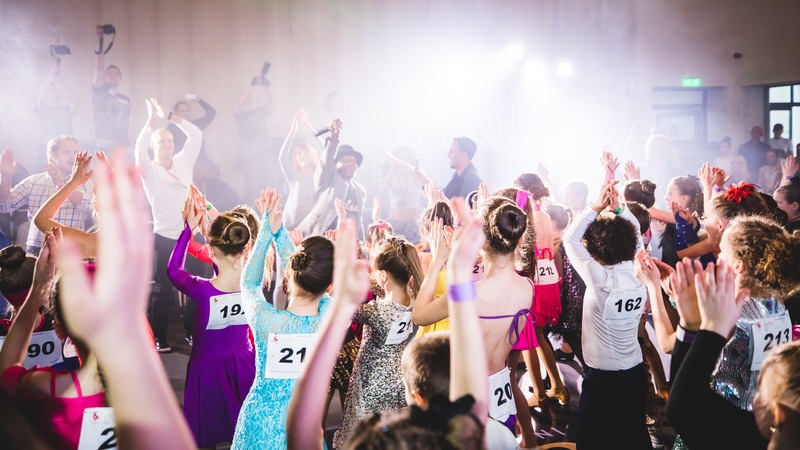 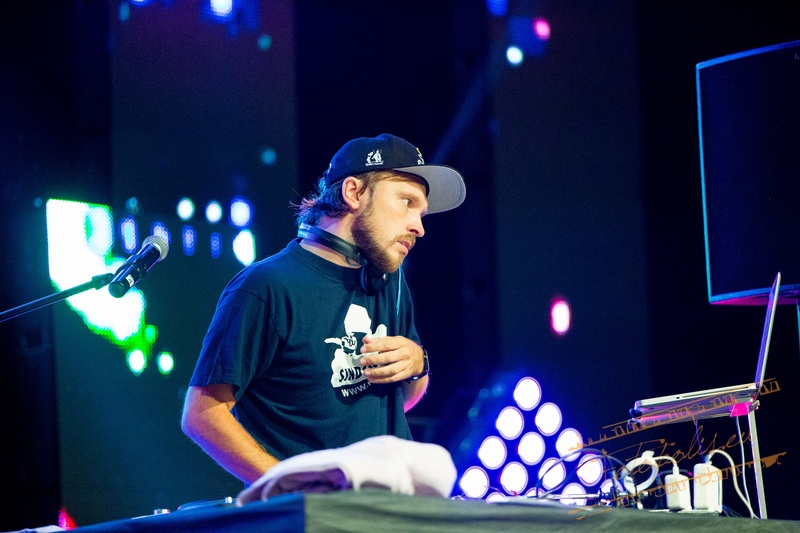 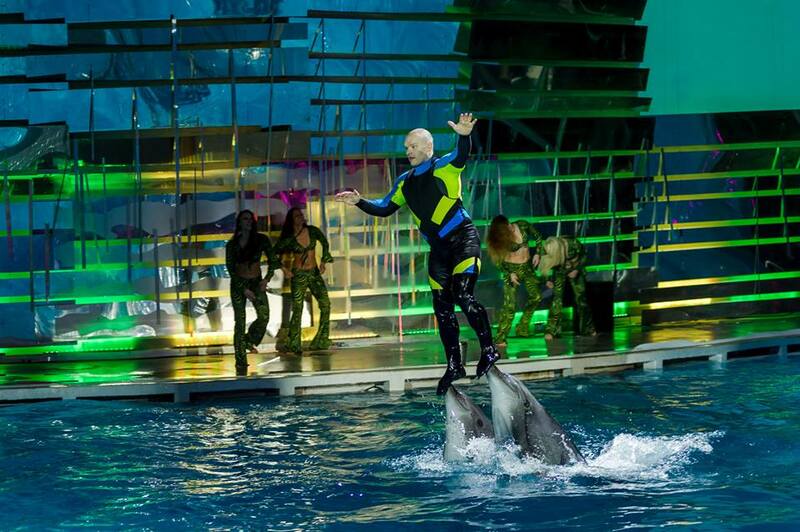 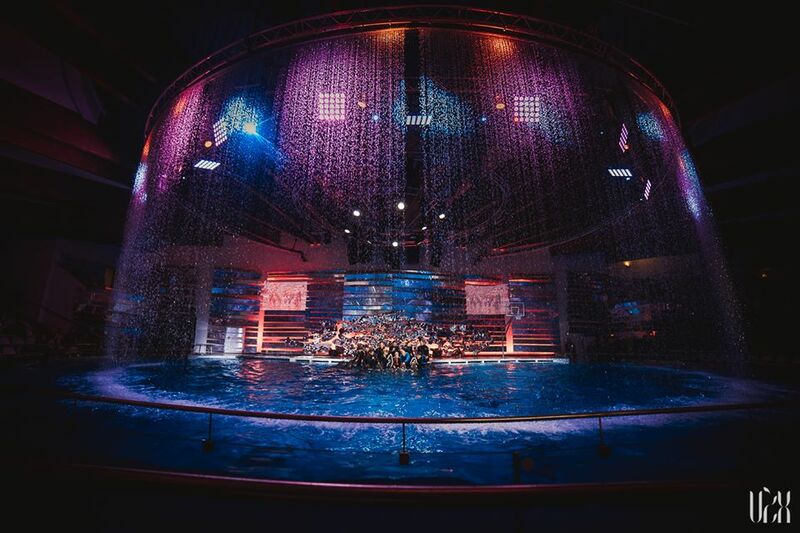 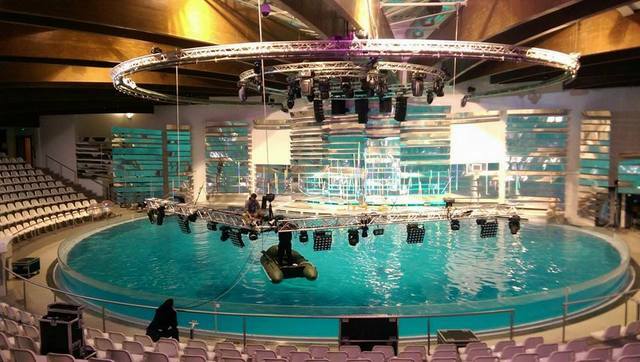 During it the special performances have been shown and filmed, including the celebrities of Lithuanian stage and sports, who participated together with the dolphins. 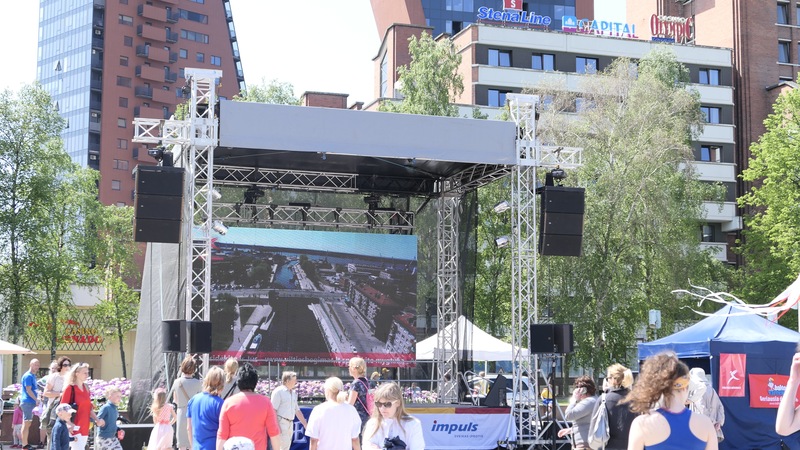 First, it was an initiative to organise a support campaign “Run for Hope”. 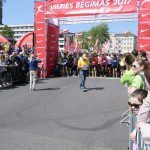 People could run 0.75 km, 2.9 km, 5.9 km or 10 km distance. 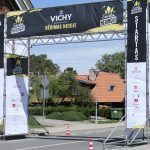 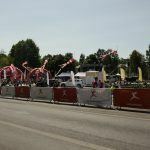 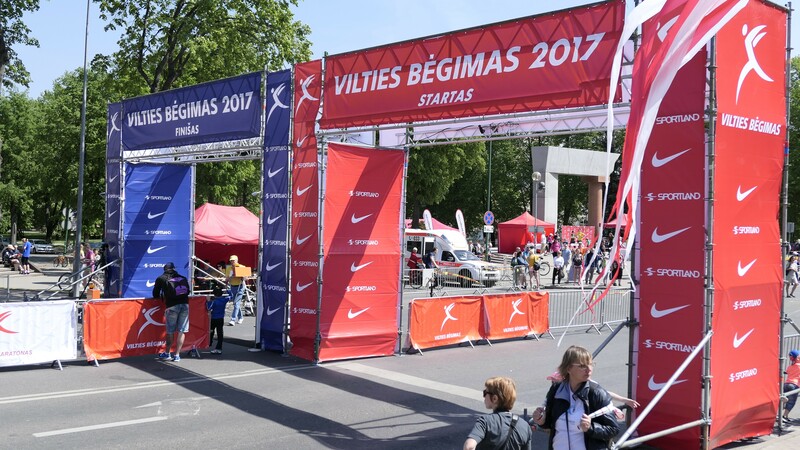 It was decided to use the funds of support collected during the run for the construction of St. Francis Cancer Support Centre in Klaipėda. 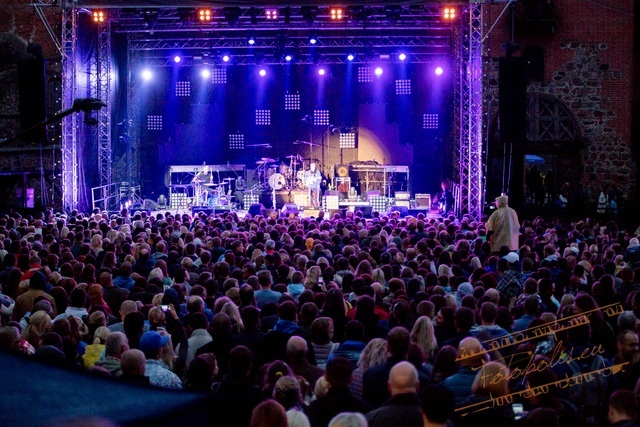 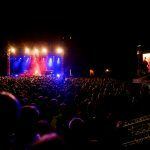 Festival organisers invite everyone, who prefers active leisure spending, high quality entertainment and music. 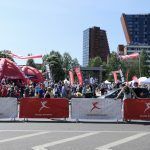 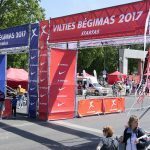 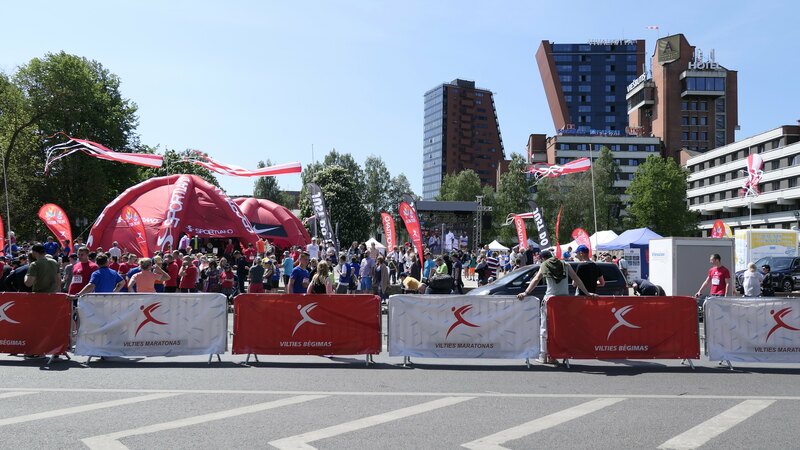 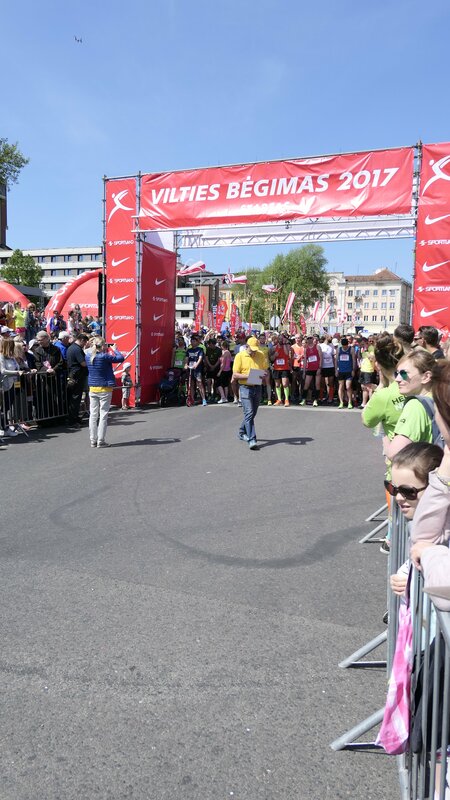 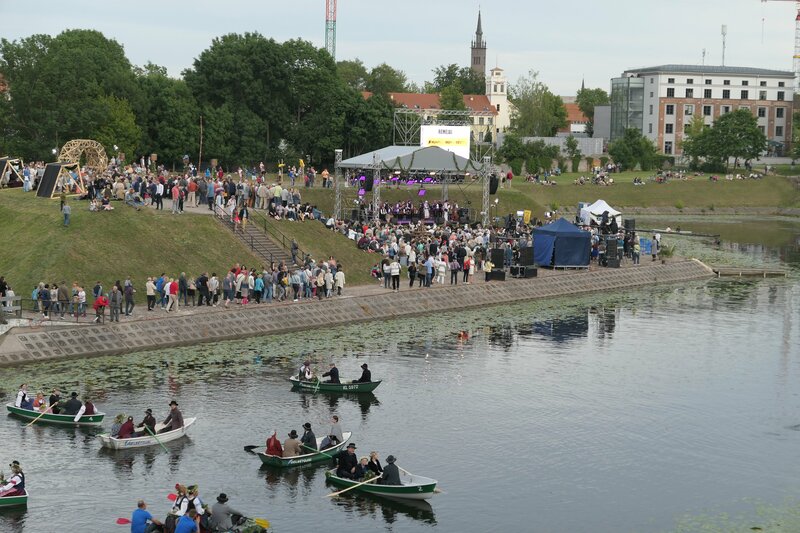 “Hello, Neringa!” is the only sports festival in Lithuania, during three days of which the participants can test themselves in many different ground and water sports or even win medals at the competitions. 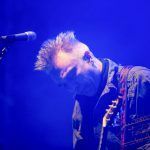 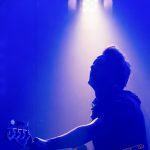 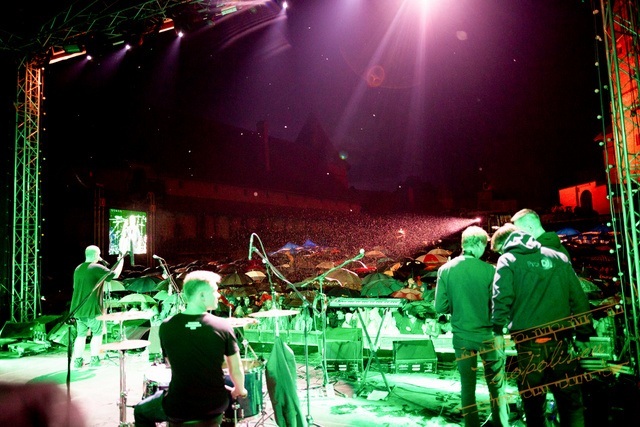 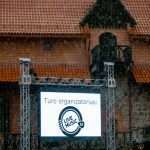 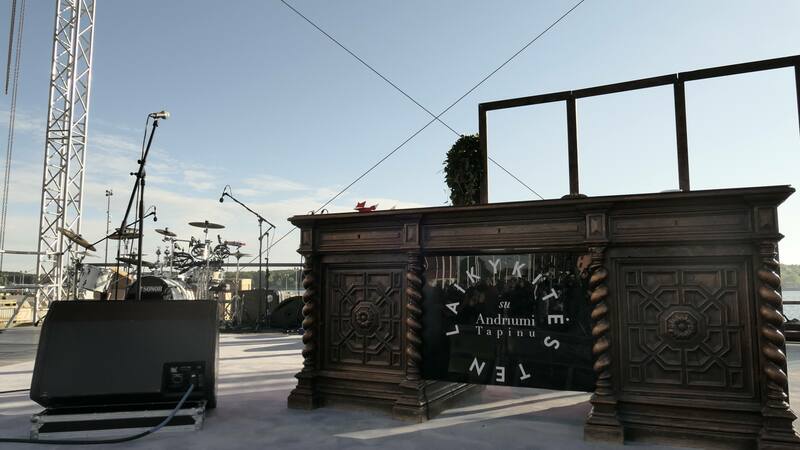 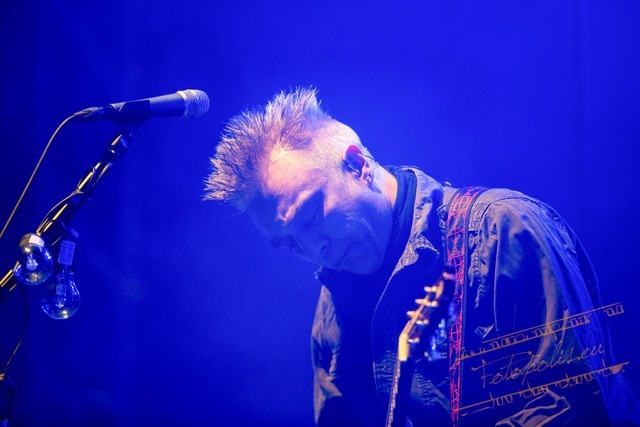 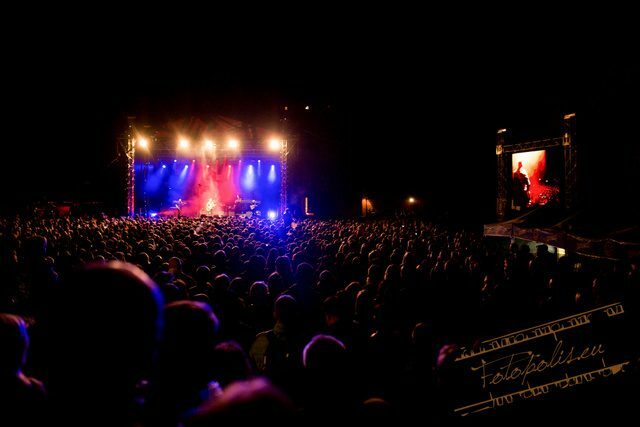 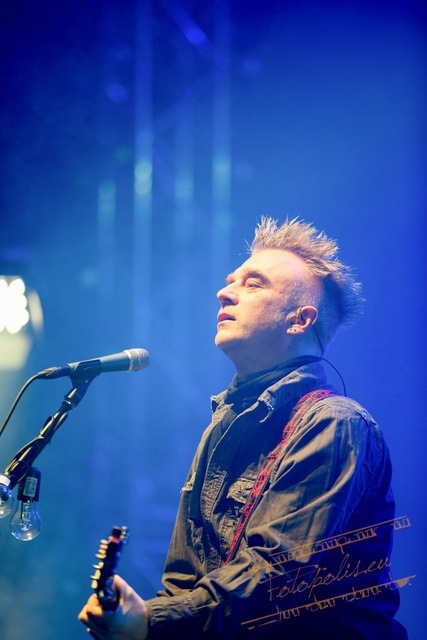 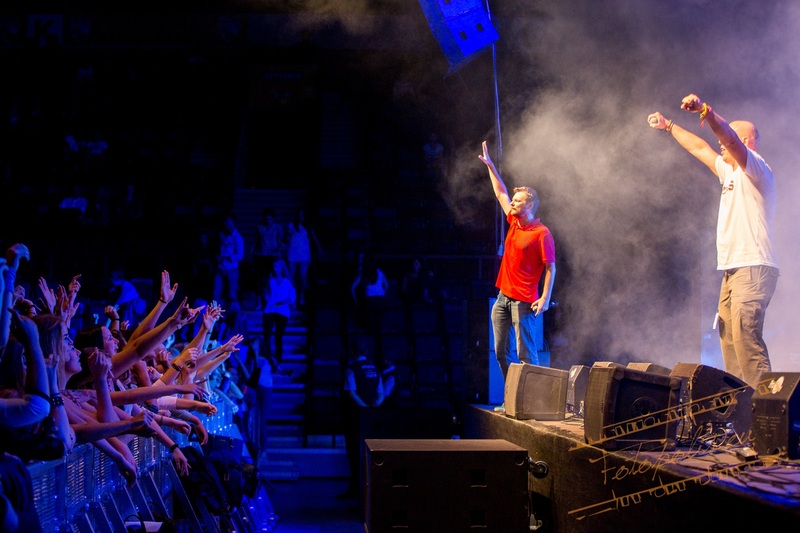 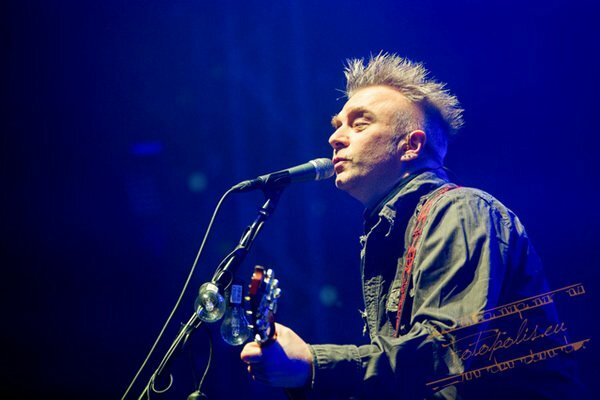 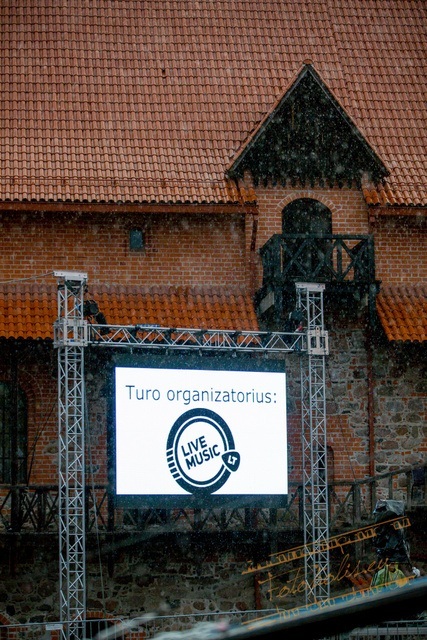 The final and the most powerful concert of Andrius Mamontovas tour “The Burning Eyes” was held in Trakai Castle. 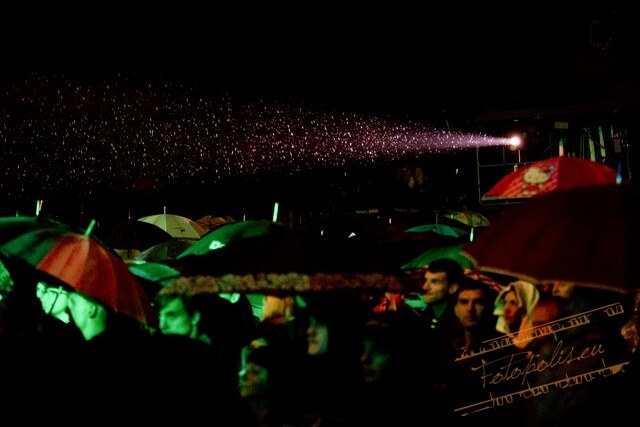 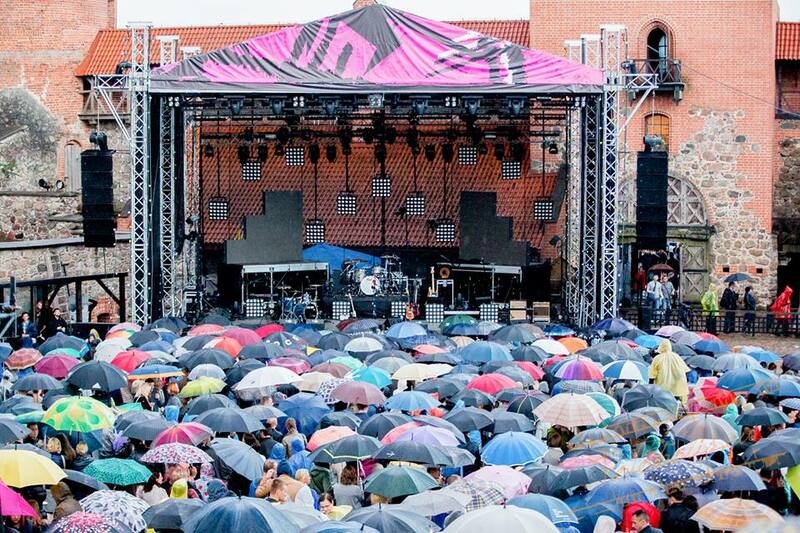 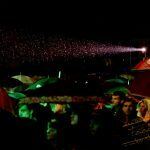 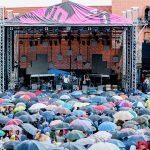 More than 3000 fans of this performer entertained even during the rain. 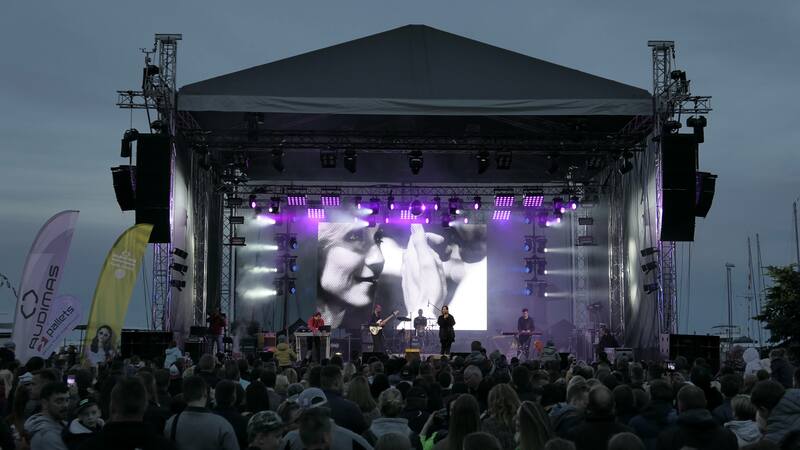 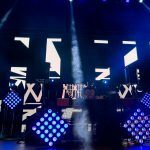 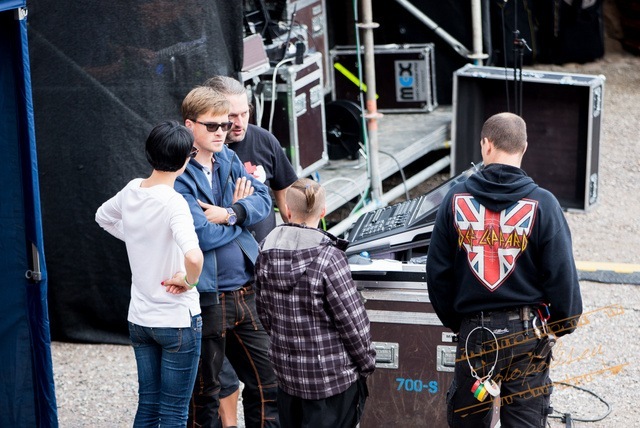 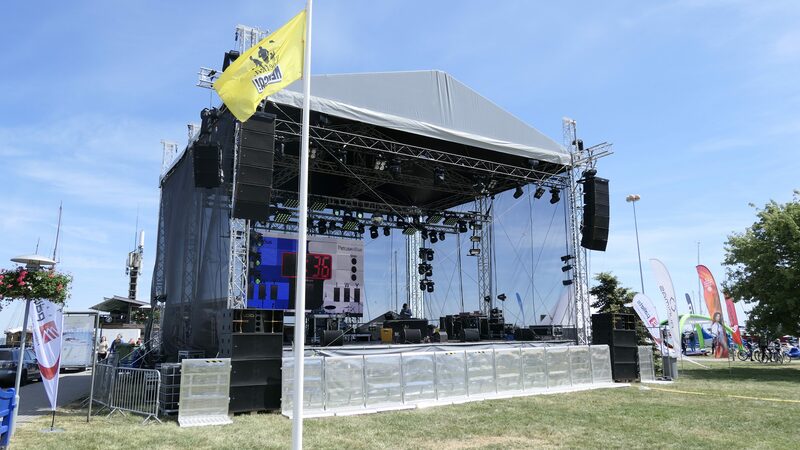 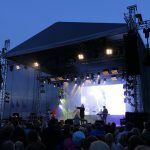 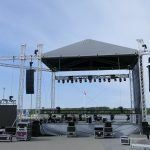 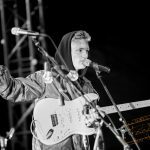 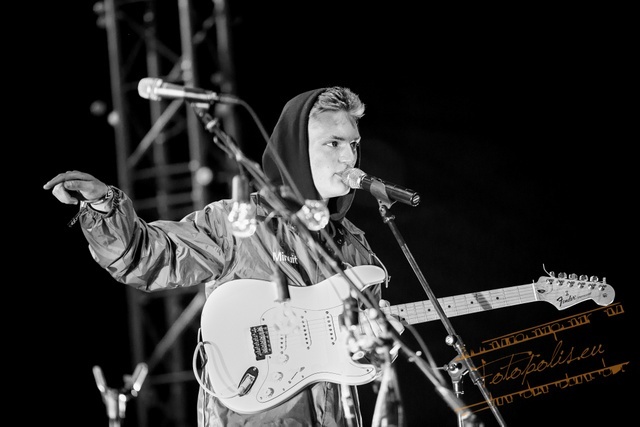 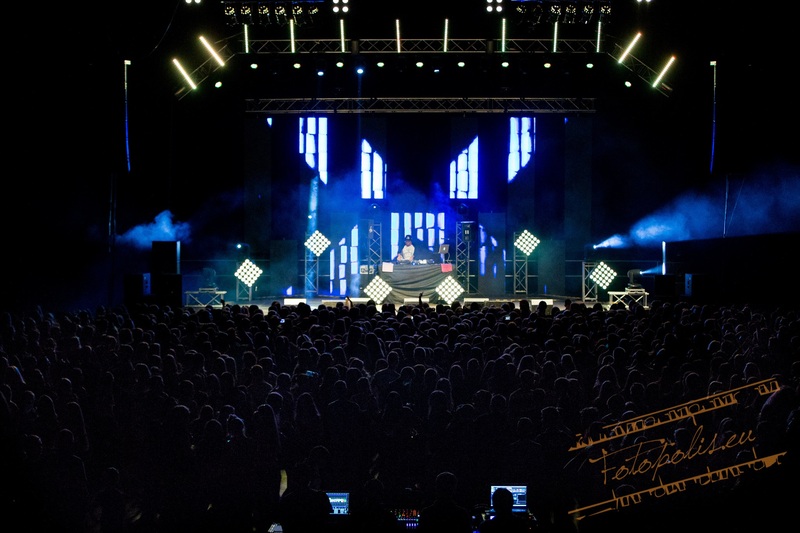 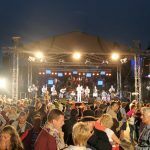 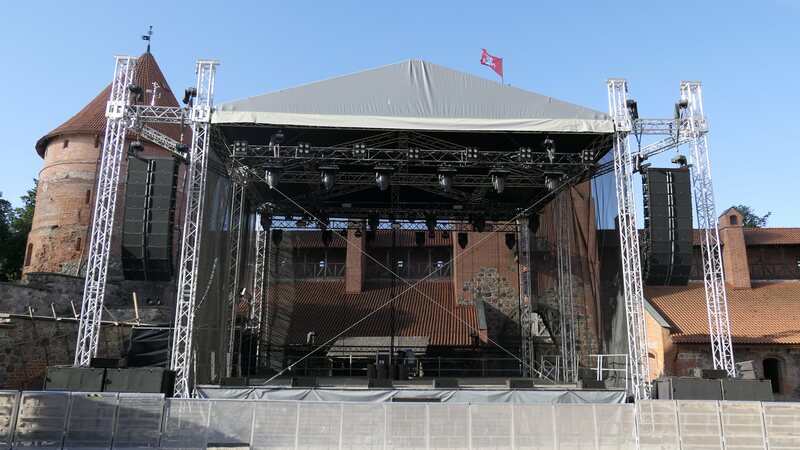 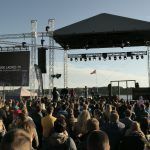 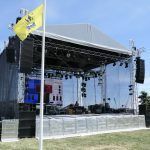 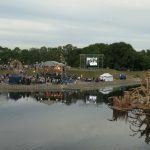 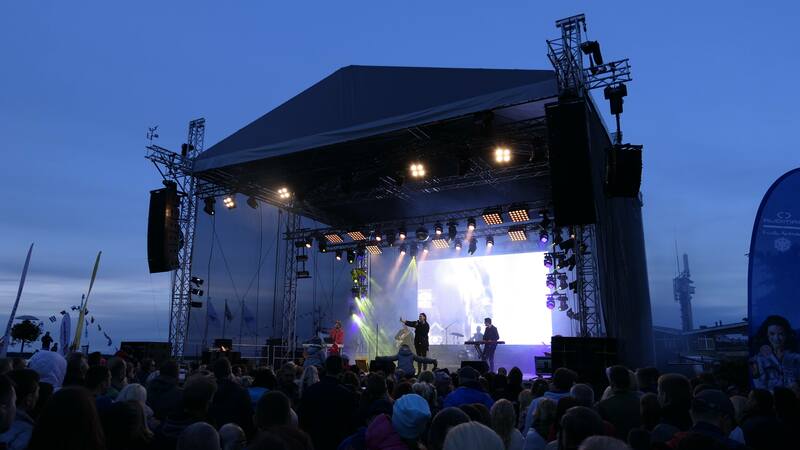 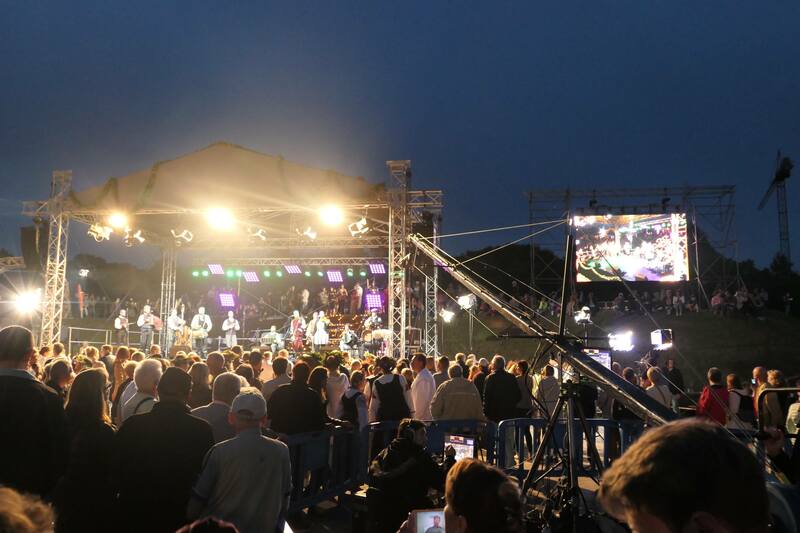 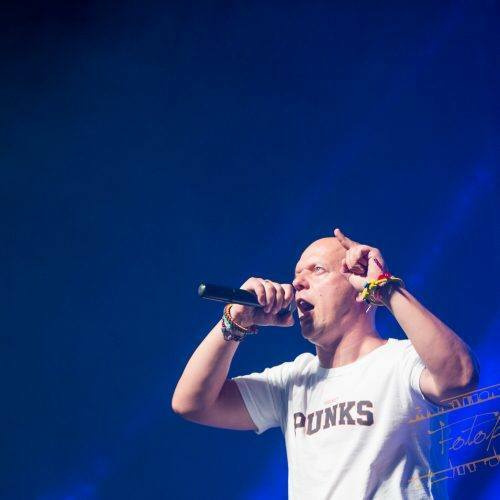 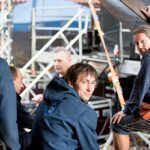 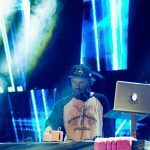 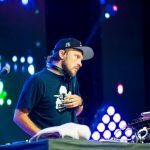 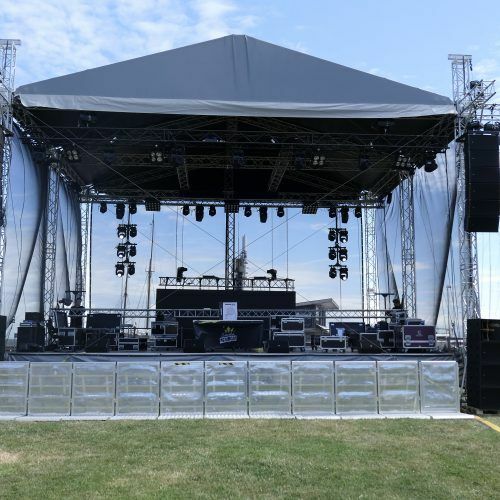 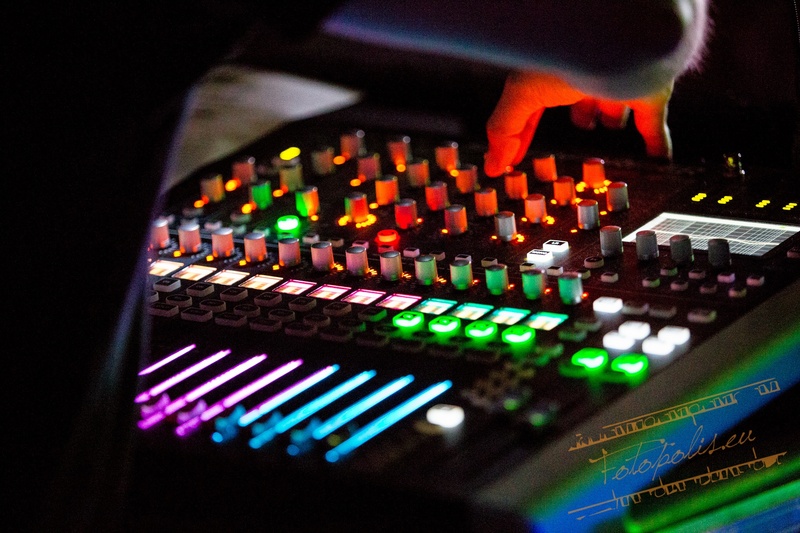 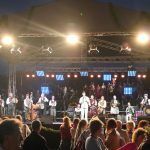 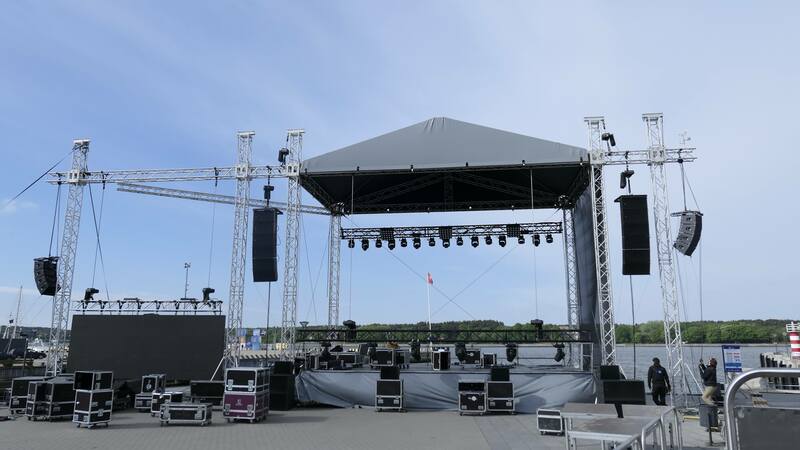 At the end of Klaipėda “Sea Festival”, “ProDJ” team started new works on the next day and began preparing for the concert, which had to be held 6 weeks after. 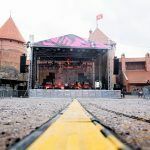 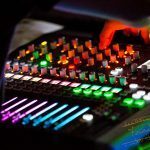 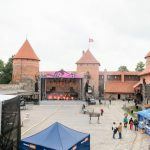 We had to prepare a project and to solve all complicated tasks of logistics because it was difficult to access the castle with all the necessary concert equipment. 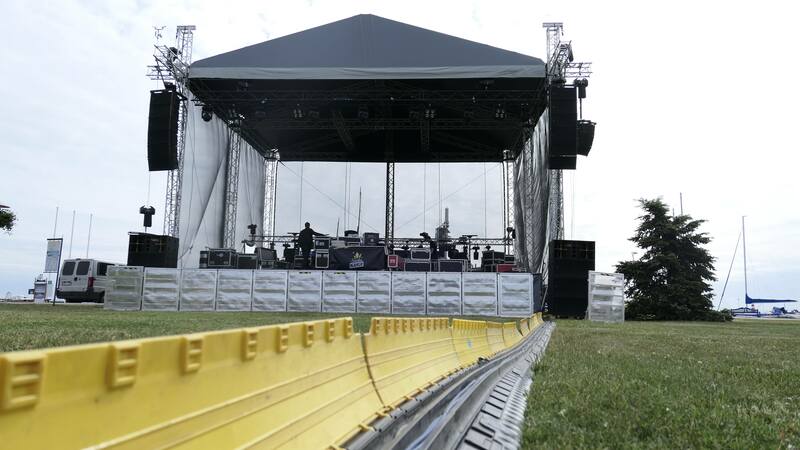 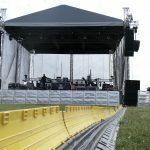 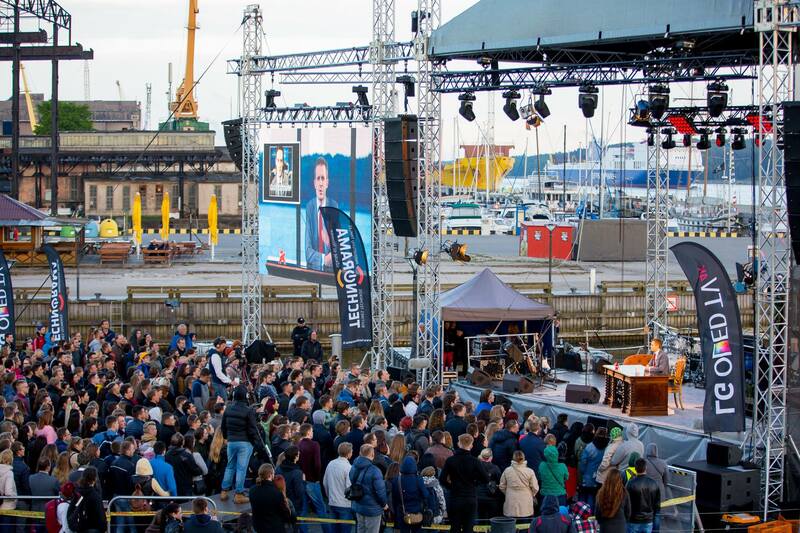 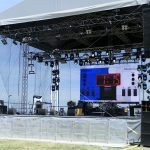 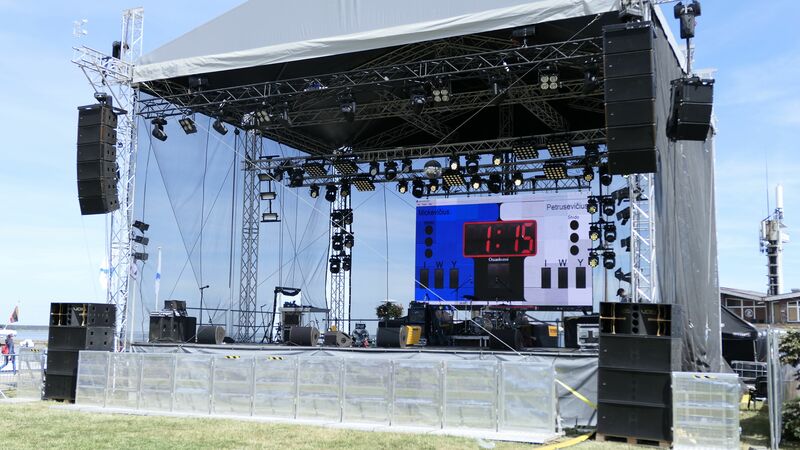 It was decided to install 12.5 x 10.5 m stage. 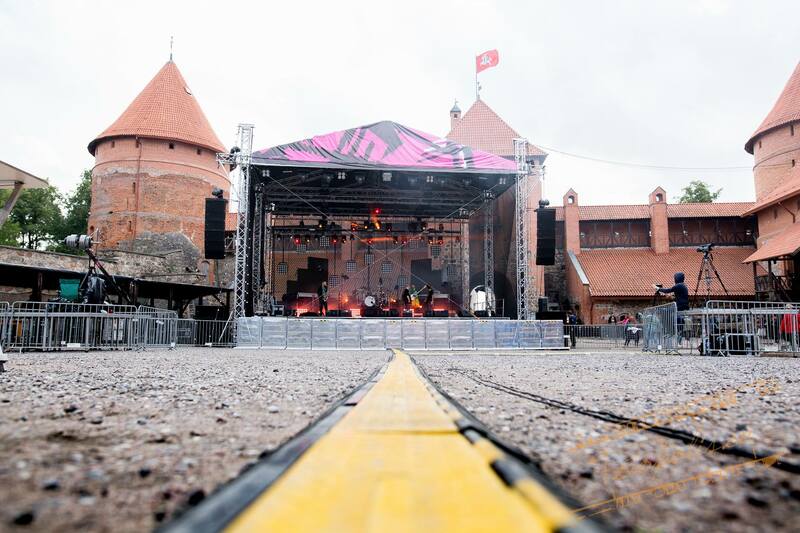 It is the largest stage which it is possible to install in the yard of the castle by not obstructing all the passages. 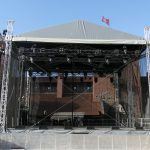 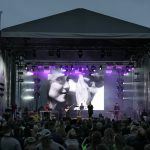 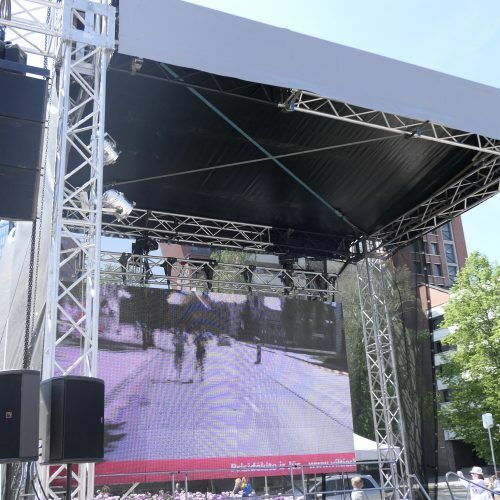 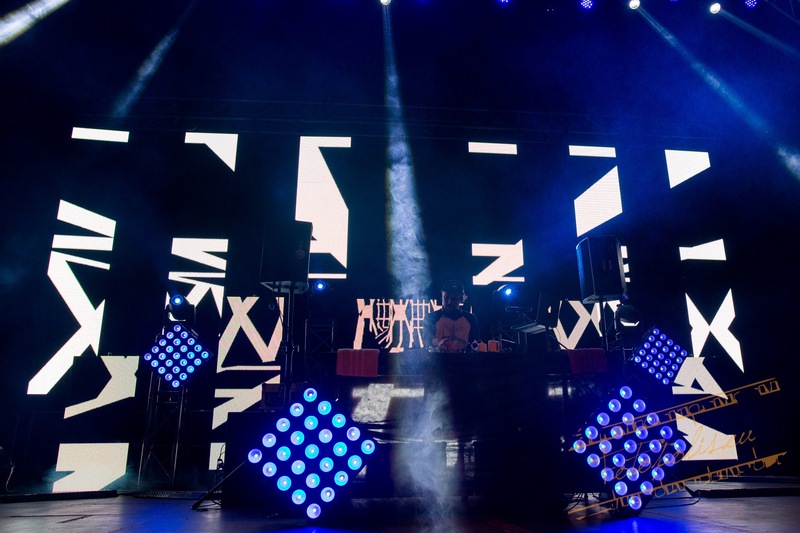 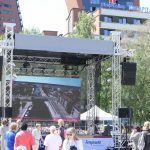 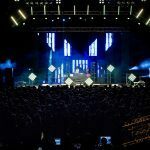 A firm 10-meter-high stage had to bear a lot of lighting and audio equipment on its six columns; meanwhile, the LED screen was installed on a separate construction next to it. 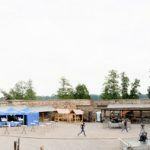 The installation works began on Friday at 6 AM and during the next 4 hours the castle was equipped by equipment delivered by two lorries. 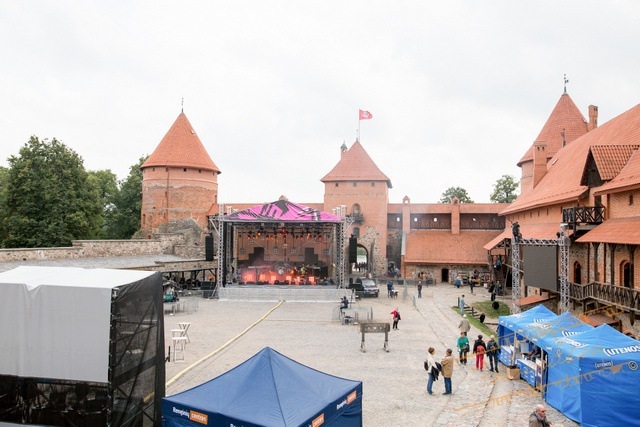 Particularly for this project, UAB “Švykai” allowed opening a reconstructed wooden bridge leading to the castle, which could be crossed only by minibuses; therefore, all the equipment had to be unloaded from the lorries manually and deliver to the castle by narrow bridges. 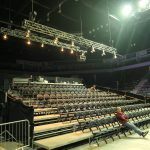 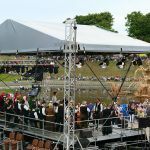 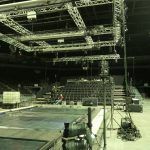 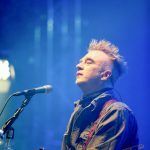 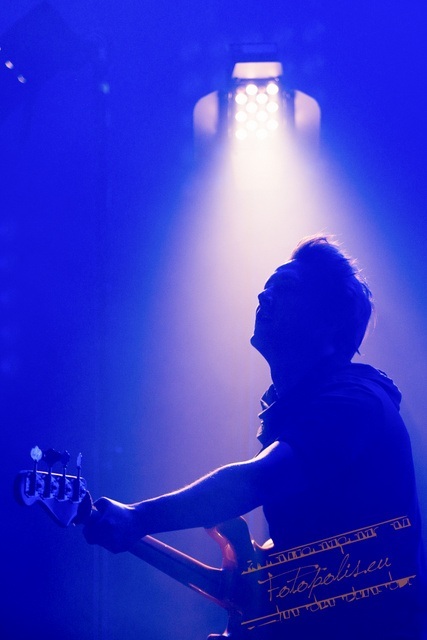 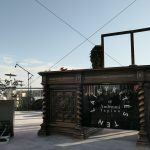 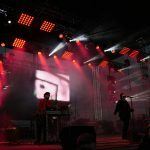 In the evening, when the stage was finally installed and lightning installation was initiated, an artist of concert lighting Marius Selevičius arrived on site. 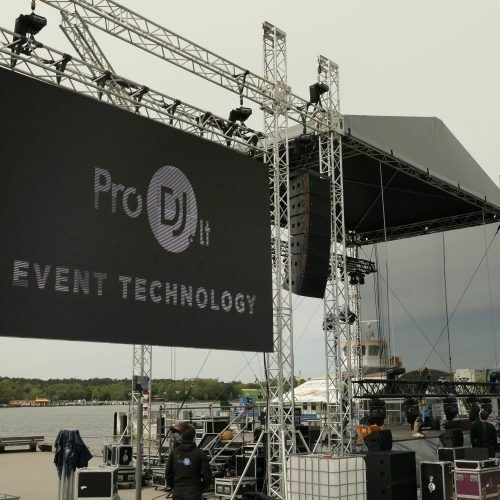 “ProDJ” technicians cooperated with this artist in order to mount everything perfectly according to the project prepared in advance. 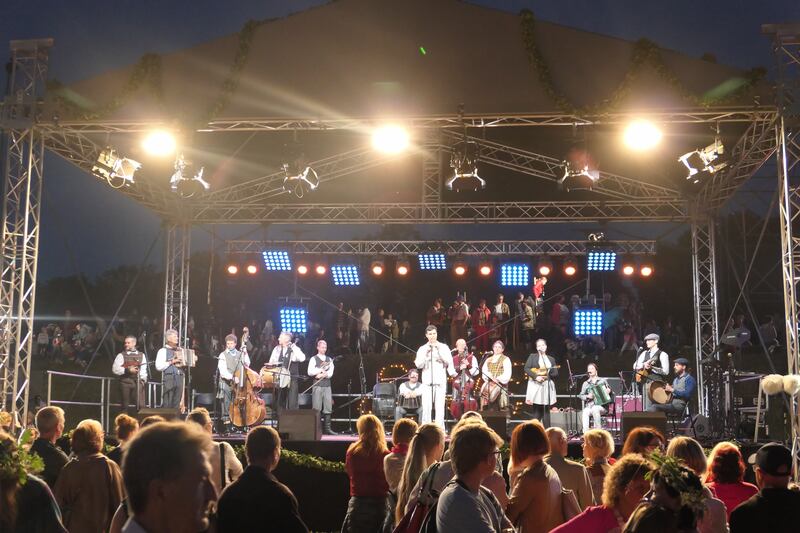 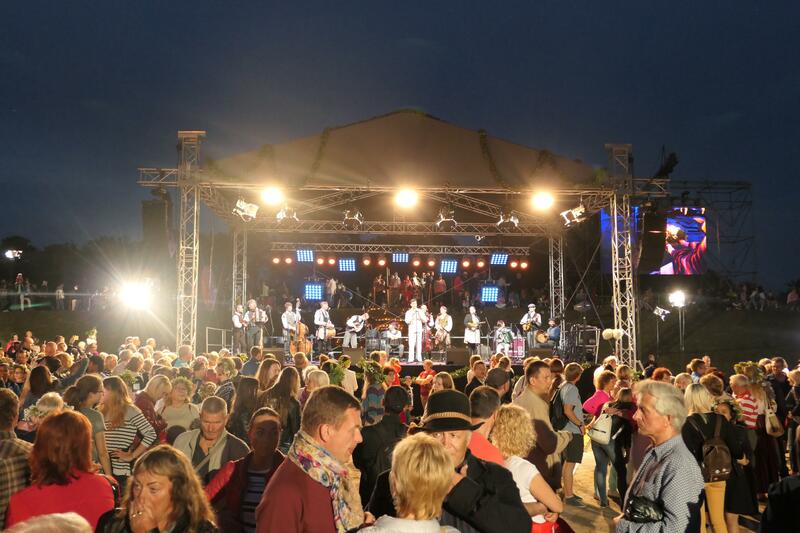 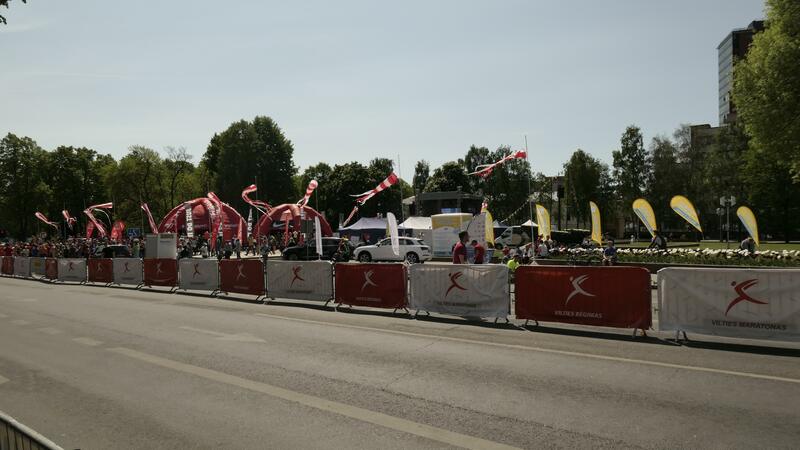 In 2015, Klaipėda welcomed the 1st September impressively! 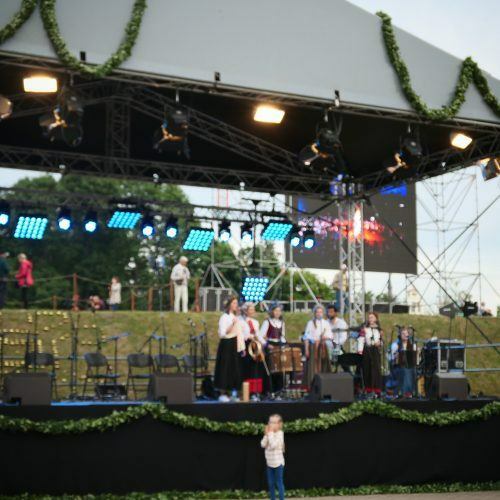 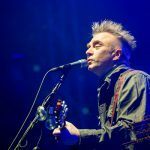 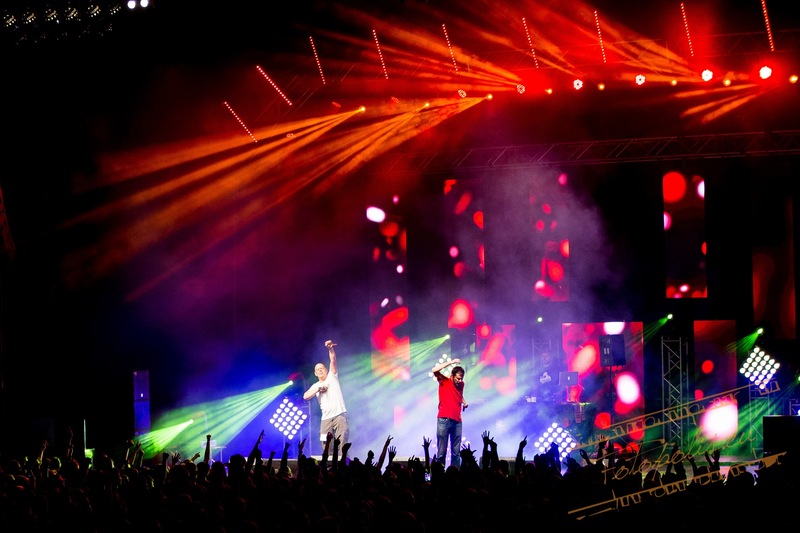 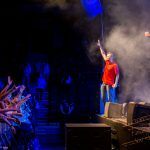 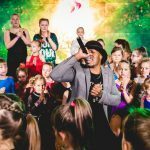 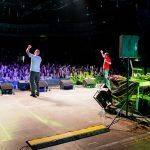 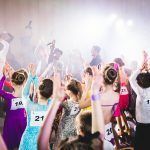 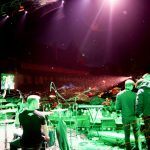 All schoolchildren attending Klaipėda schools and gymnasiums have been invited to begin the new school year at “ŠVYTURIO ARENA” with the band “G&G SINDIKATAS”.